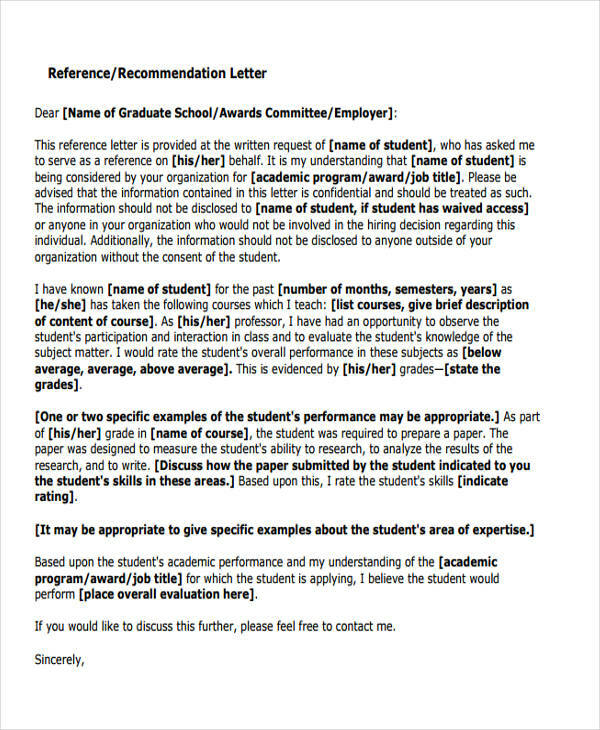 A recommendation letter is a document requested by an entity to know more information about an individual’s qualities and competencies. 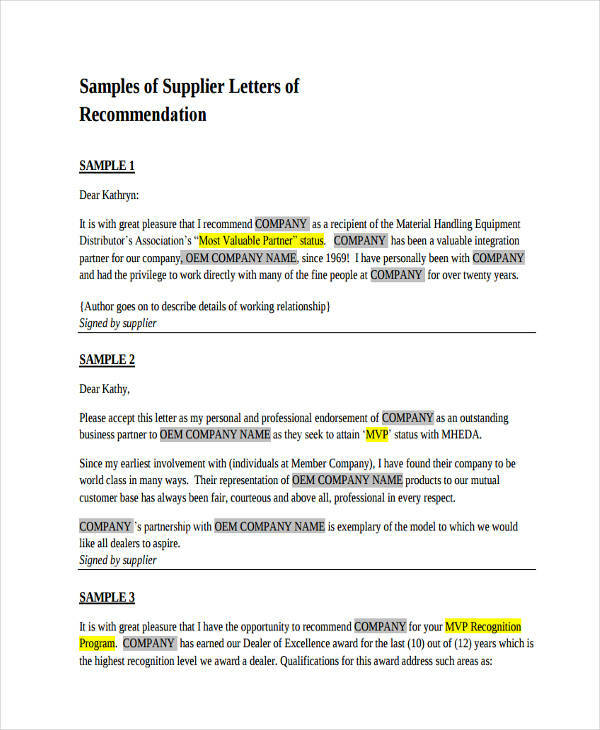 It can also be used to validate the items that a person has stated in his/her professional profile. 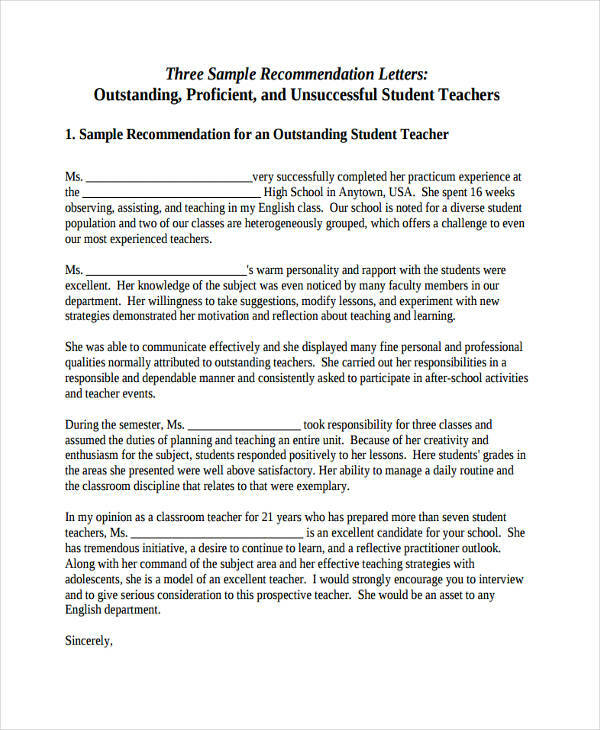 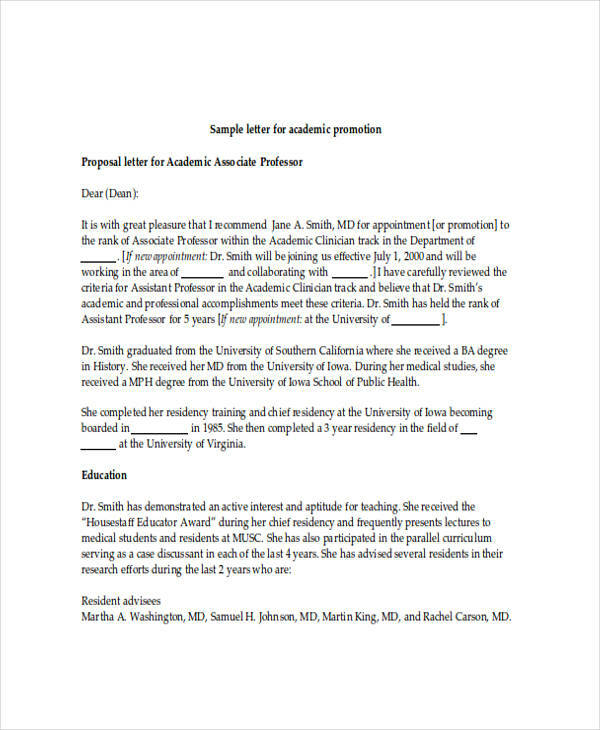 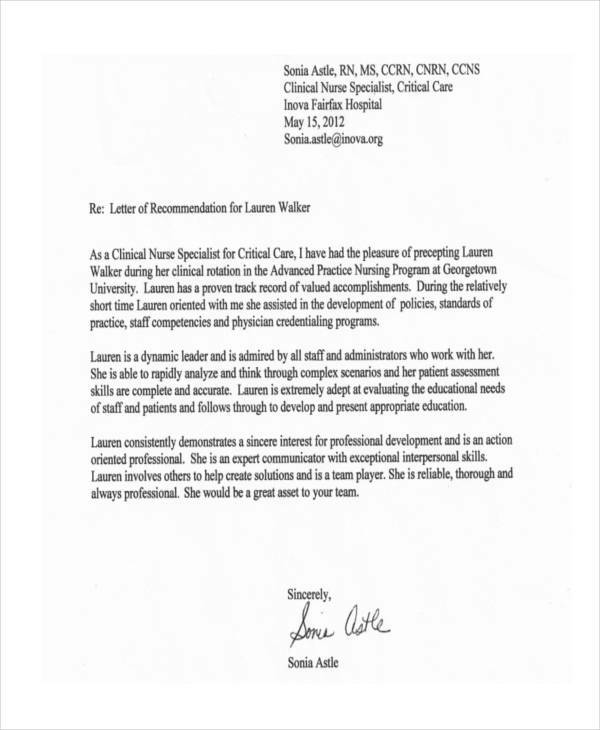 There are a lot of purposes for a recommendation letter, but it is commonly needed in the field of academics and business. 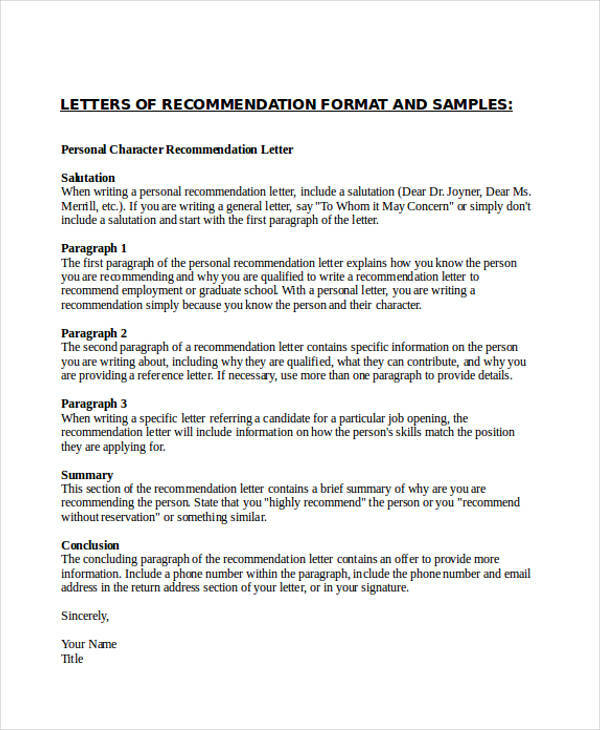 These being said, a formal letter of recommendation is basically an assessment of an individual’s performance on various aspects which should be associated with the content of the candidate’s application letter. 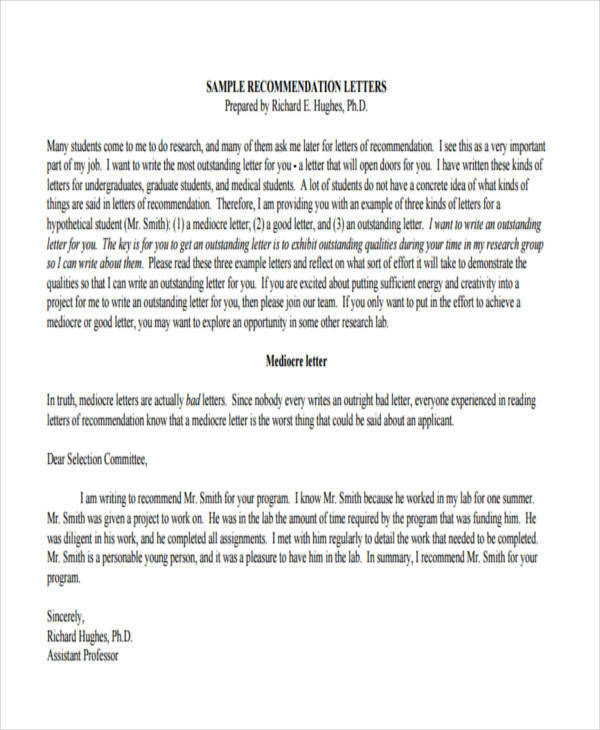 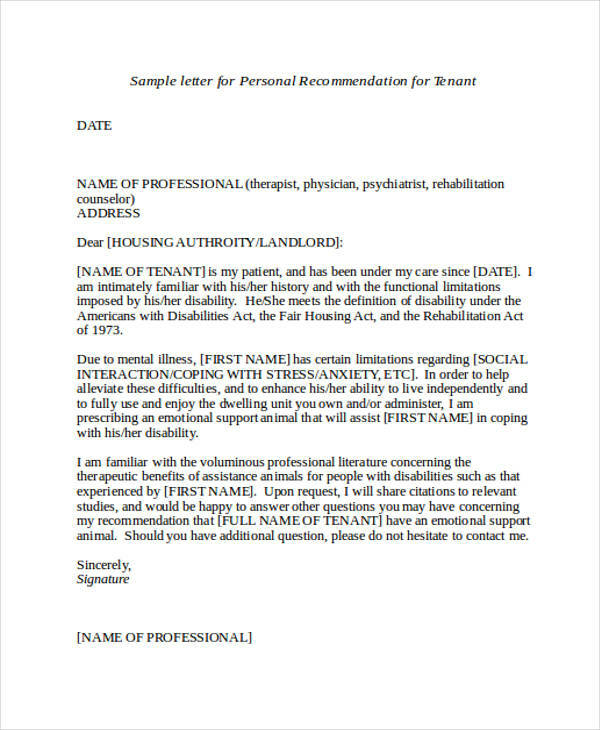 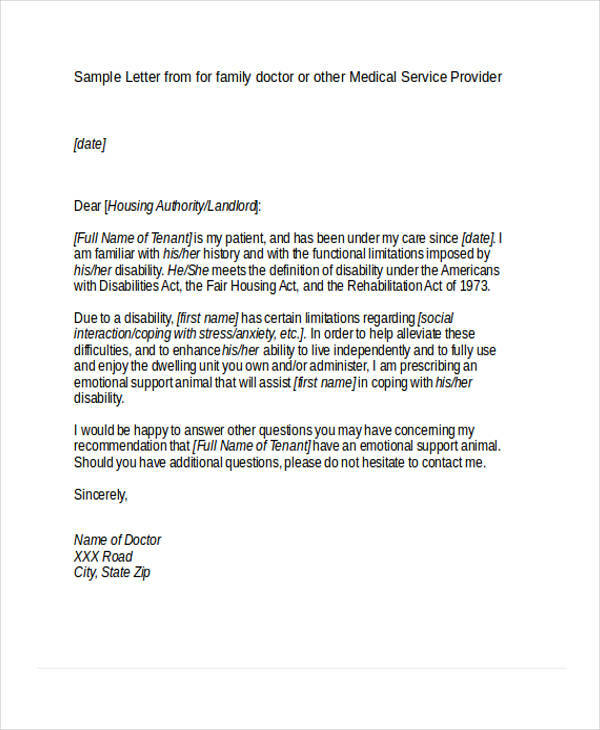 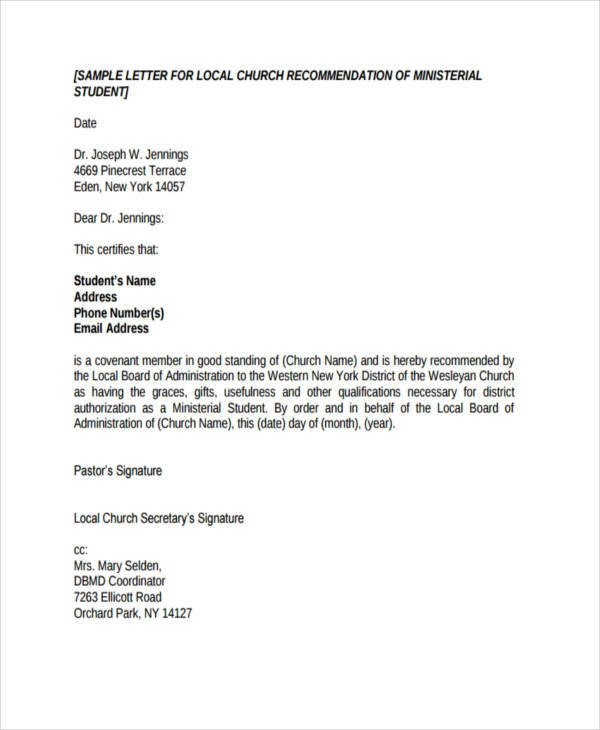 Keep in mind that this kind of letter is done by a reference who should have a professional relationship with the person to whom the specific letter is for. 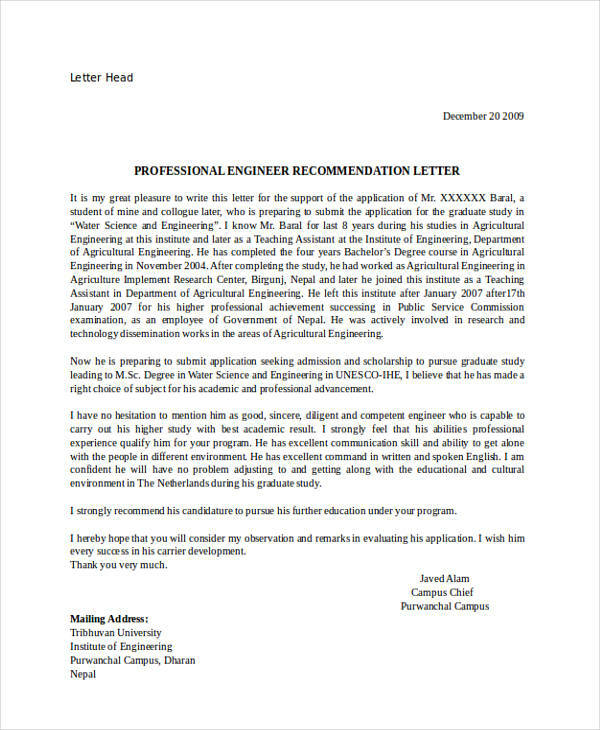 The date that the job recommendation letter has been written. 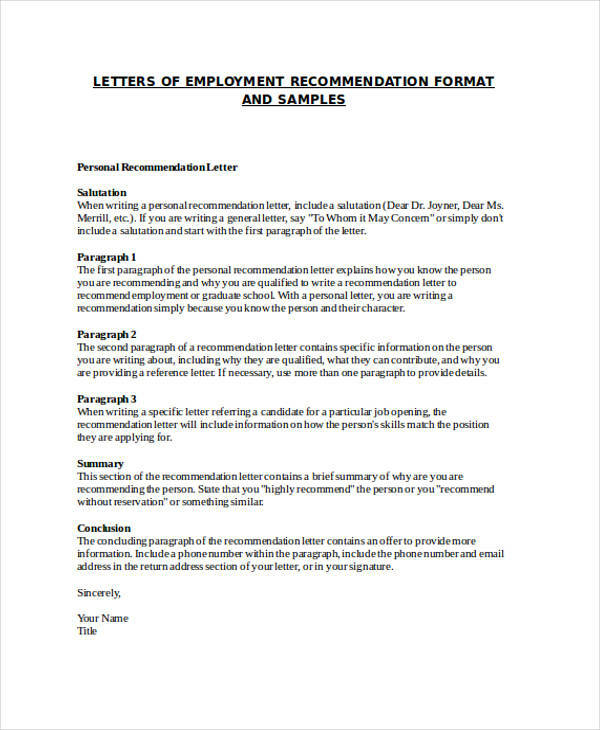 This allows companies to assure that the job recommendation letter that the reference will submit is updated and is based on their specifications and requirements. 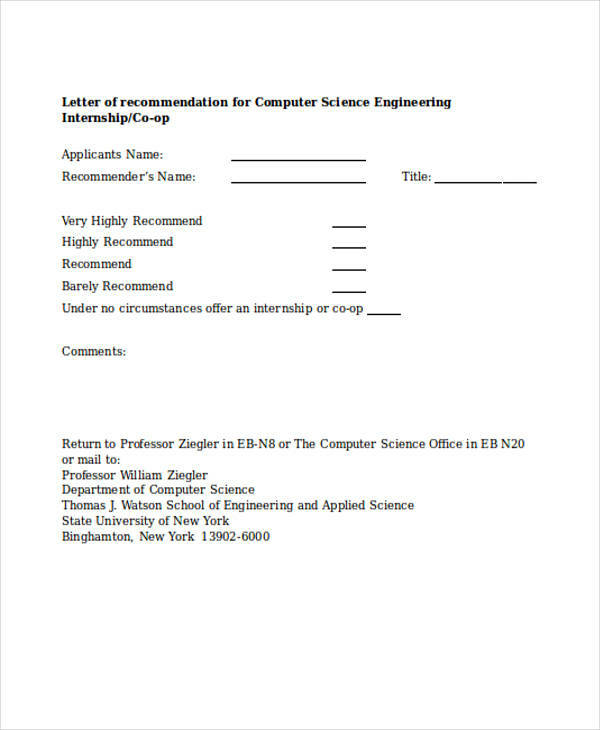 The name of the job applicant to whom the job recommendation letter is for. 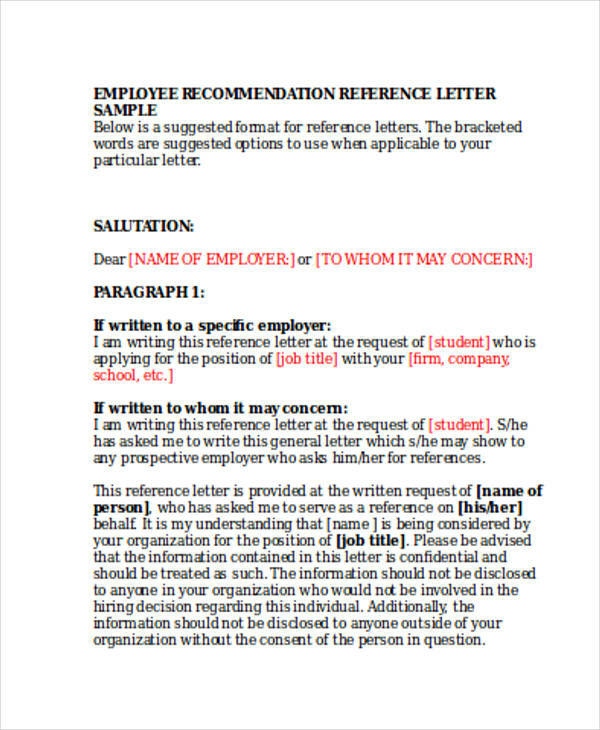 A reference needs to make sure that he/she will state the name of the applicant to avoid misplacing the document within the processes of requirement filing and recording. 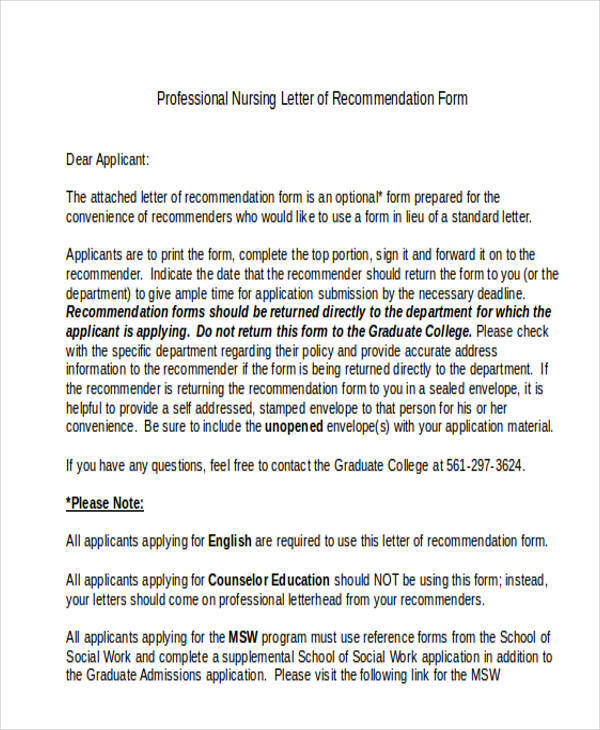 This also gives higher chances for the job recommendation letter to not be credited to other applicants should mishaps in storage occur. 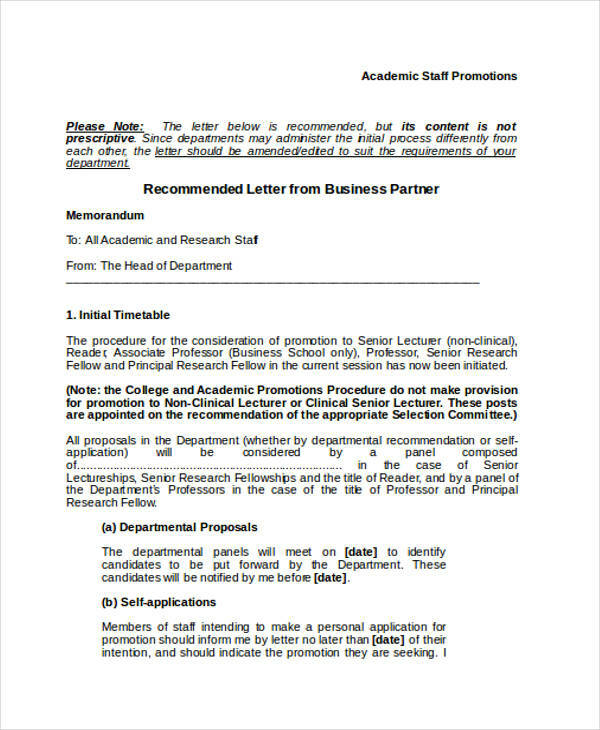 The relationship of the reference to the applicant. 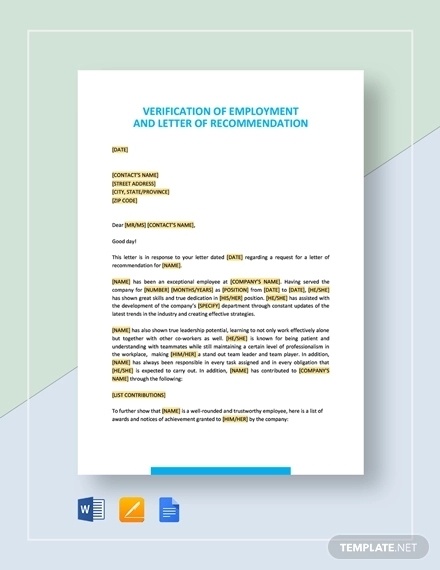 It is essential for an employer to identify the professional relationship of the reference and the person who is applying for a job position. 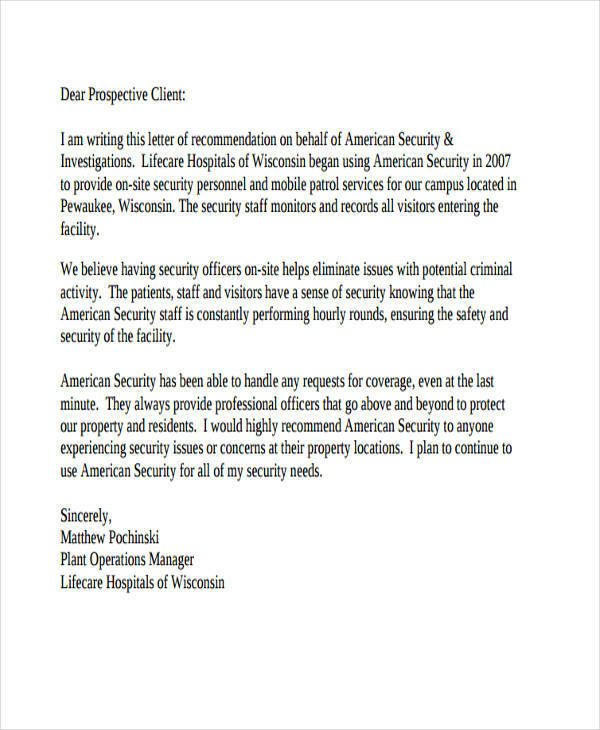 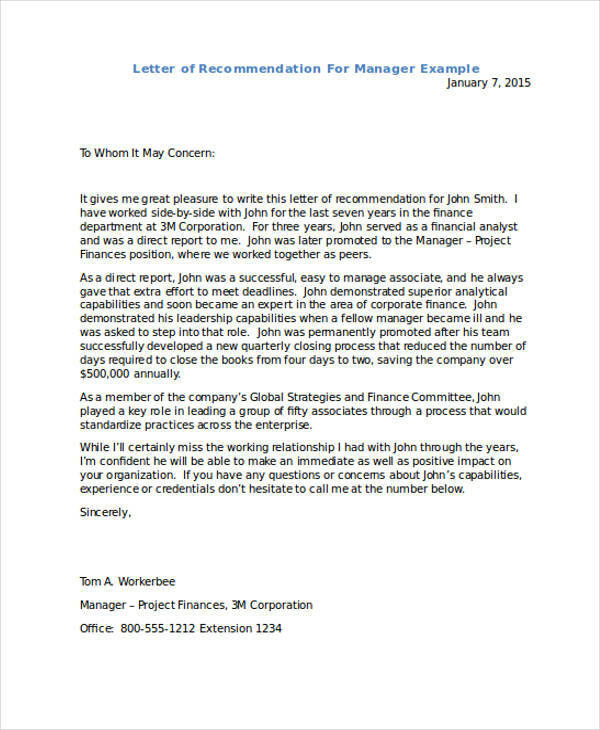 This makes the company evaluate whether the job recommendation letter is objective and professionally made. 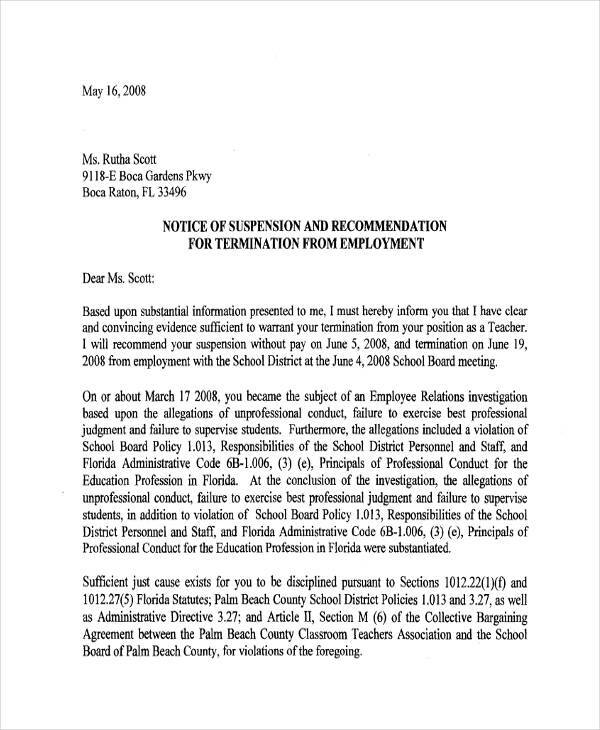 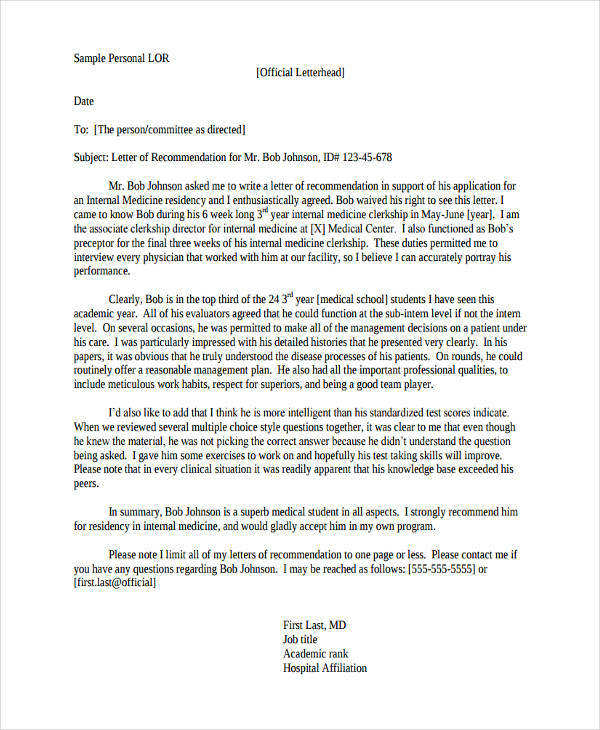 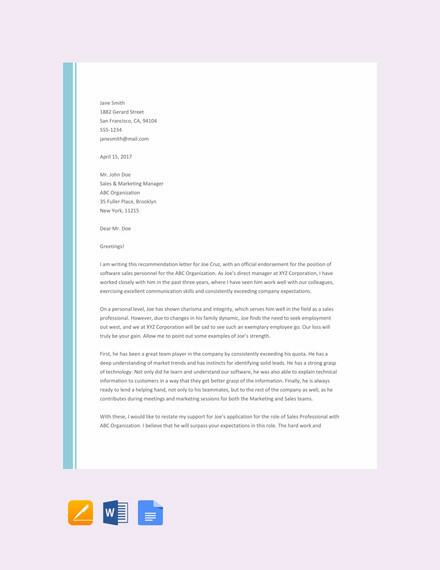 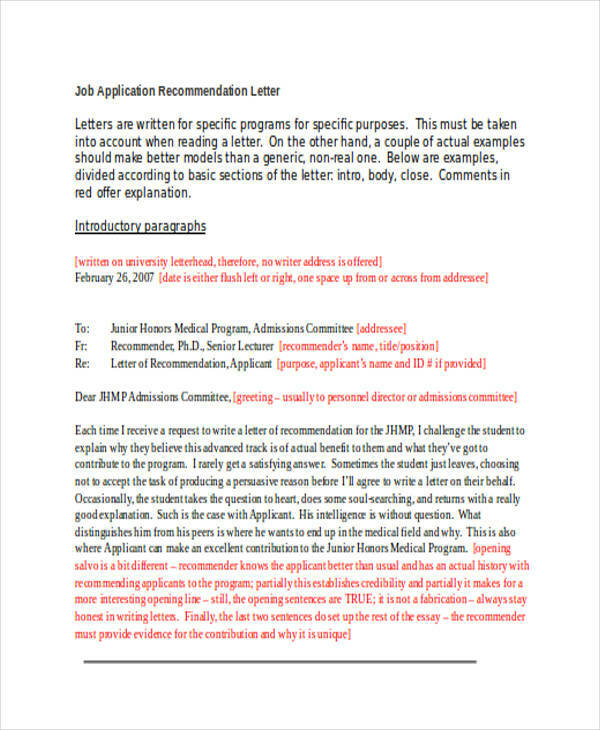 The reason why the reference accepted the request to write a job recommendation letter. 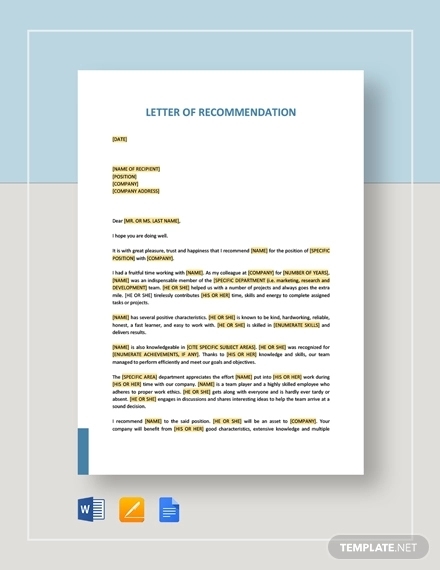 It is important for a reference to specify his/her strong urge to recommend a candidate as this can add to the weight of the content of the job recommendation. 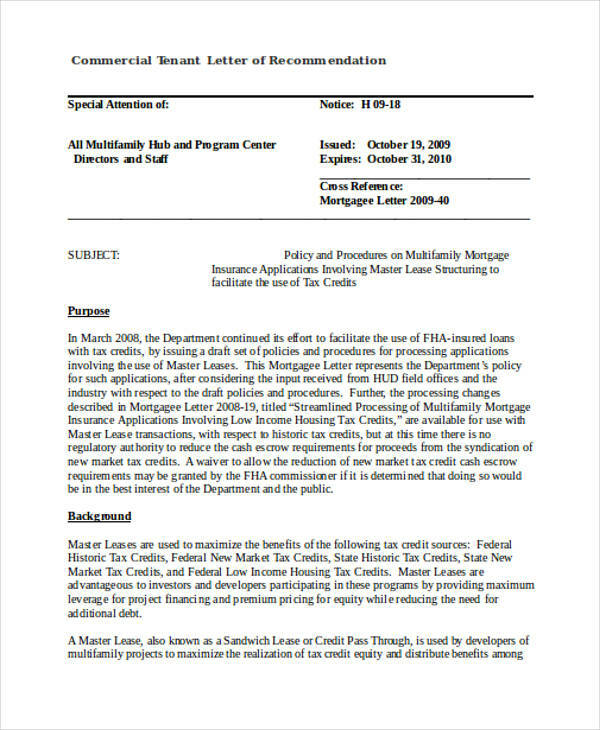 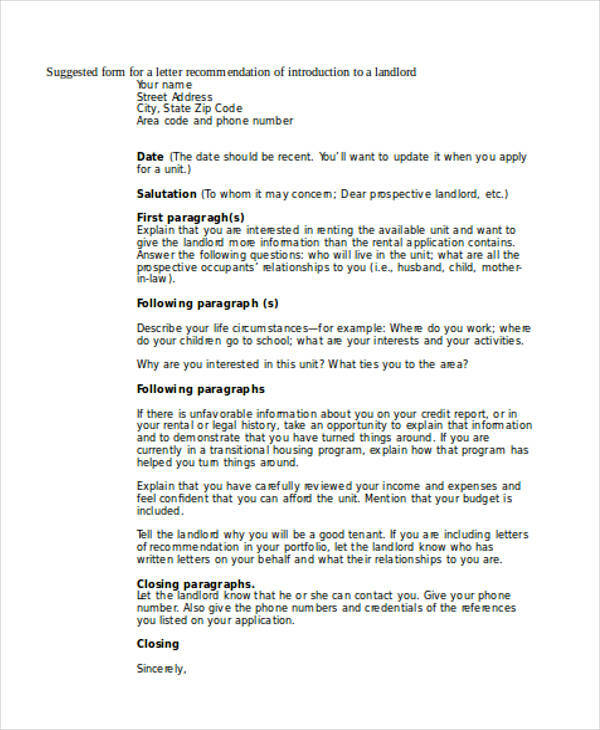 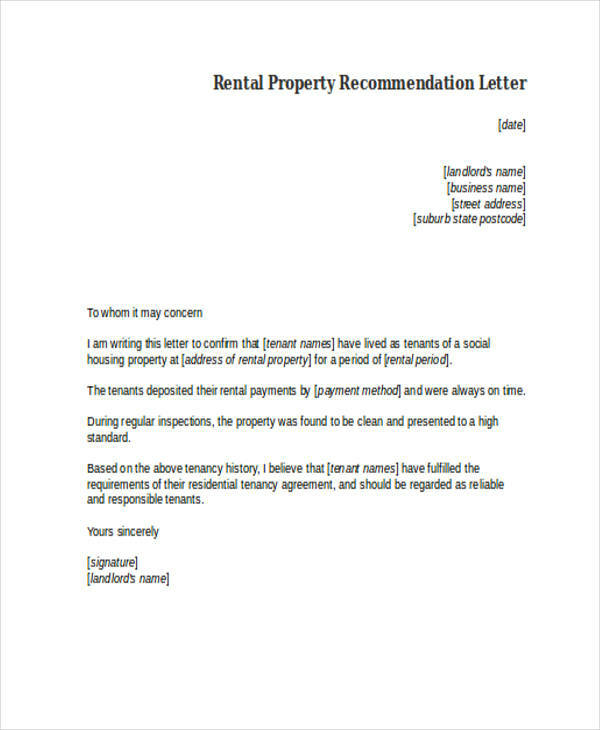 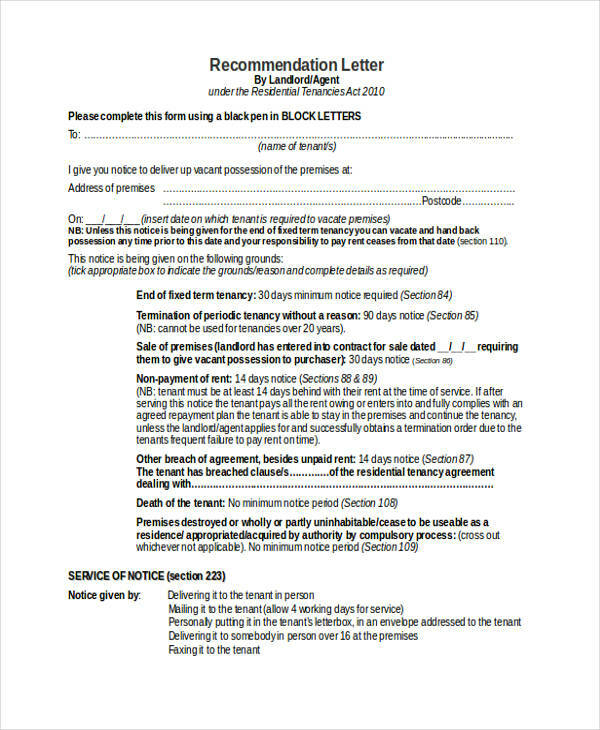 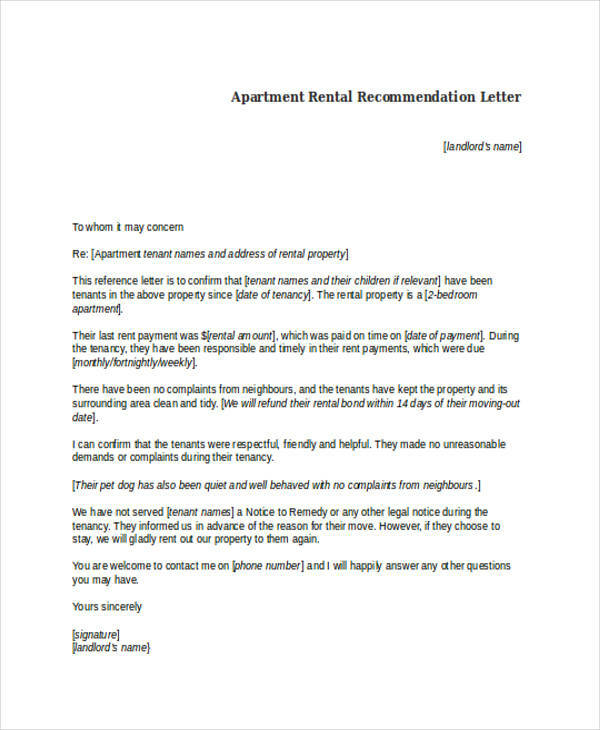 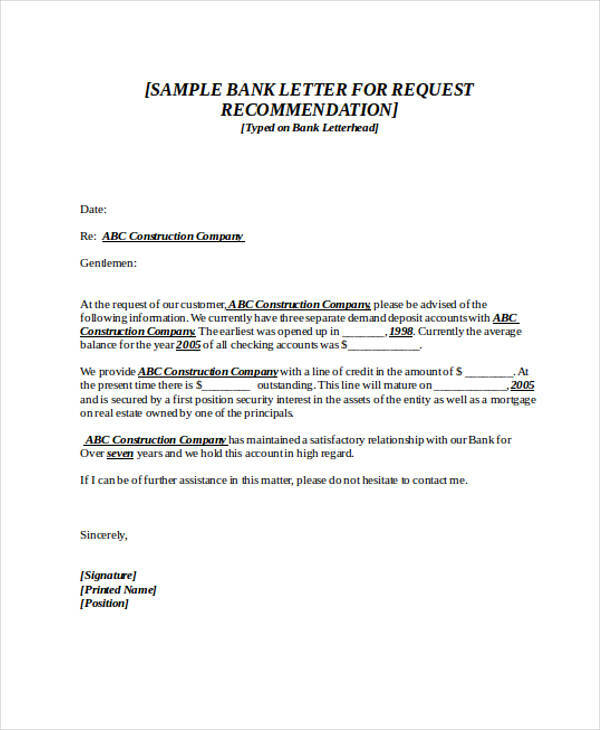 This area of the letter can provide the efficiency of an applicant to execute a work plan or other items that the reference adores about the applicant. 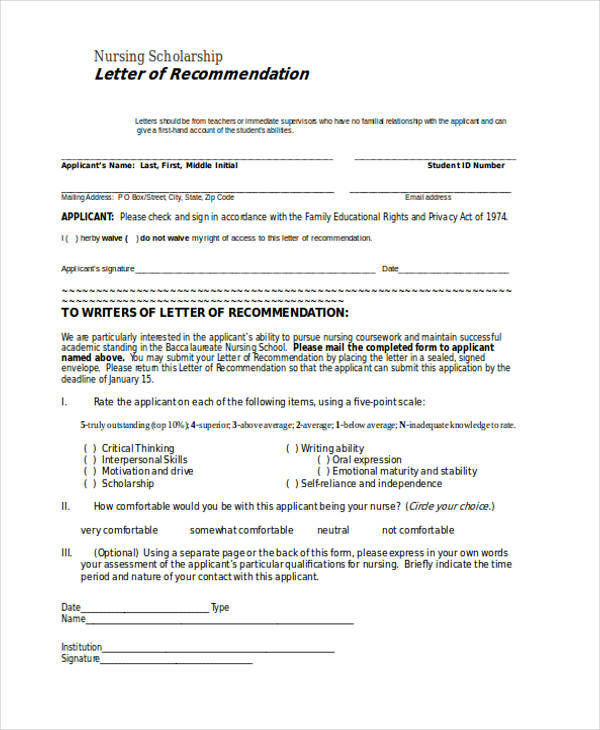 The qualifications of the applicant that makes him/her fit for the job. 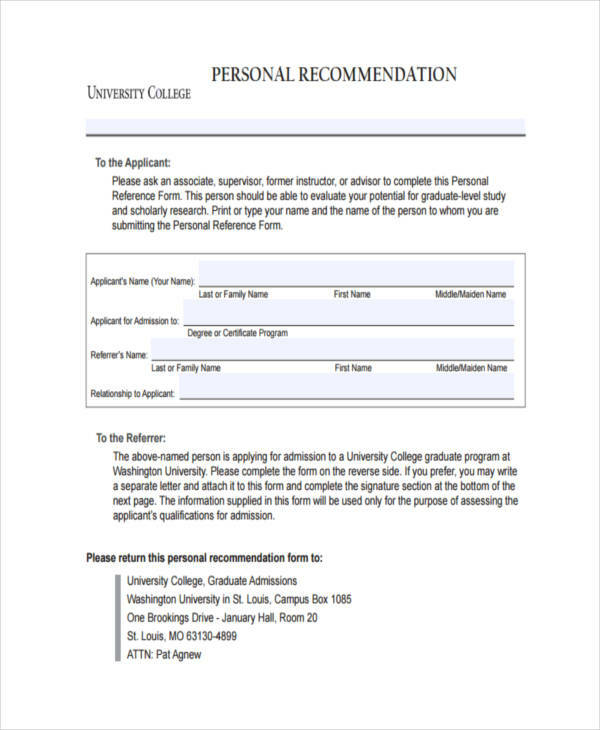 A reference should have a wide range of idea or knowledge about what an applicant can bring to the table. 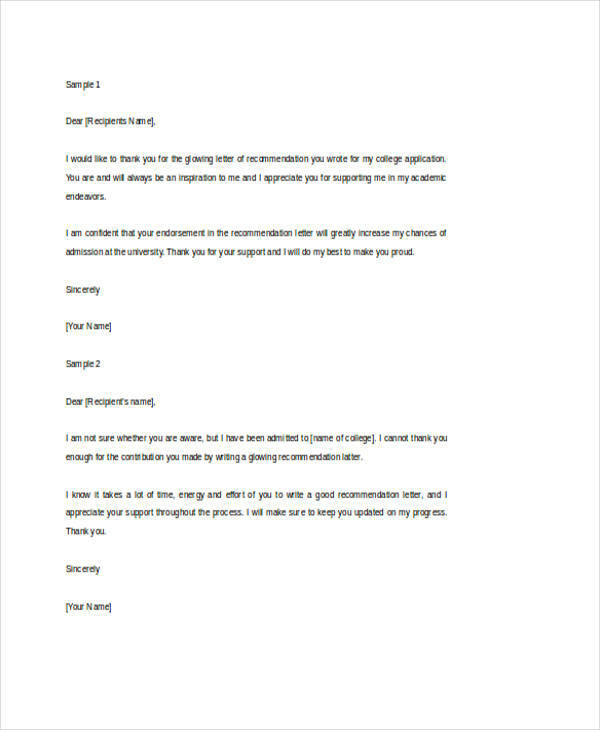 This will help the applicant to prove that he/she has the deliverable that the company needs for their operations. 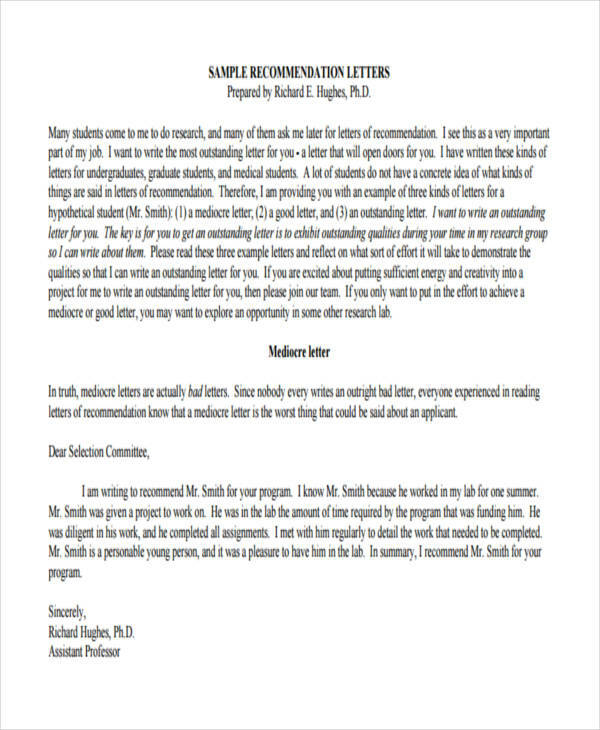 Who Can Be Your Reference for a Job Recommendation Letter? 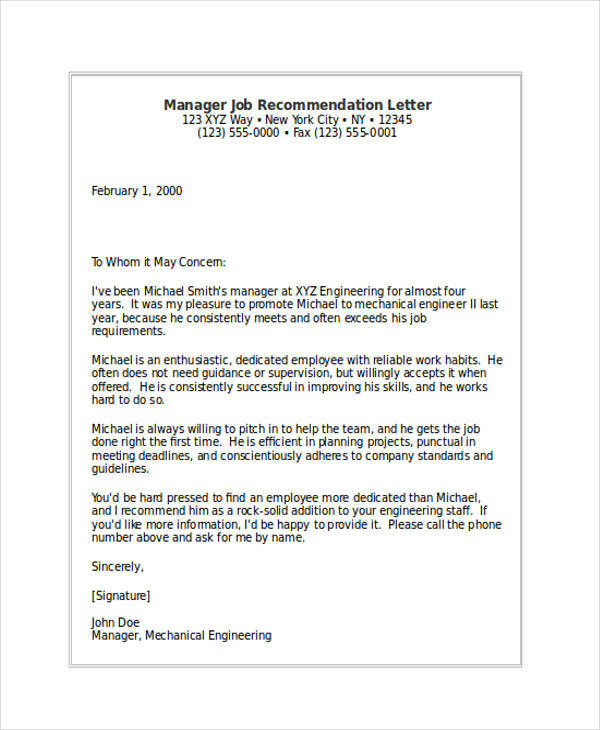 Your workmates in your previous employments. 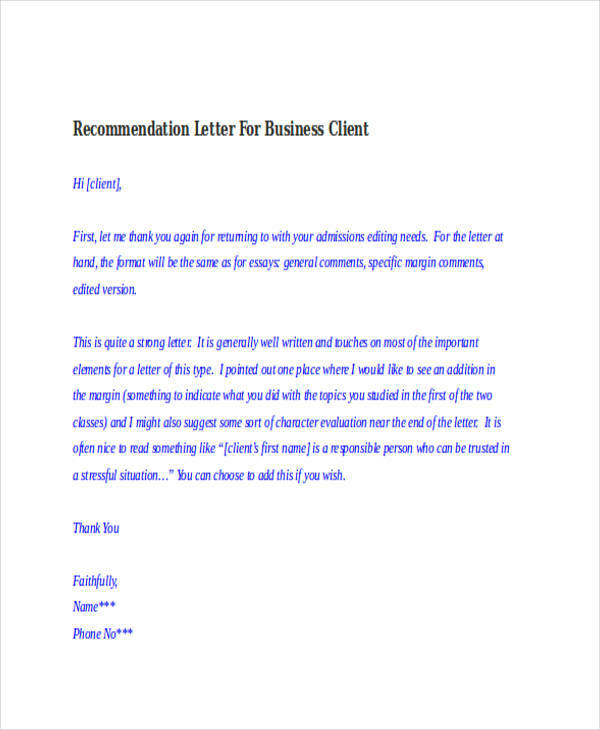 It will be helpful if you will be recommended by your previous workmates. 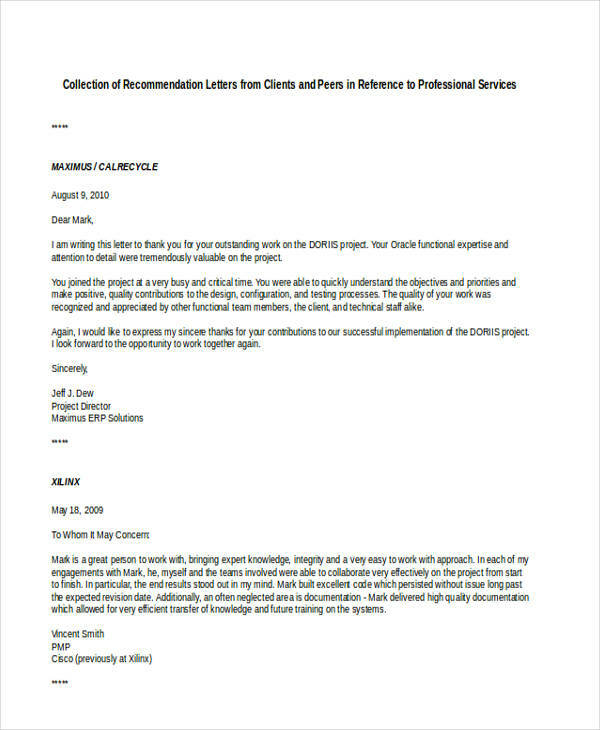 The people whom you have worked with for a duration of time can exemplify your dedication and knowledge areas accordingly. 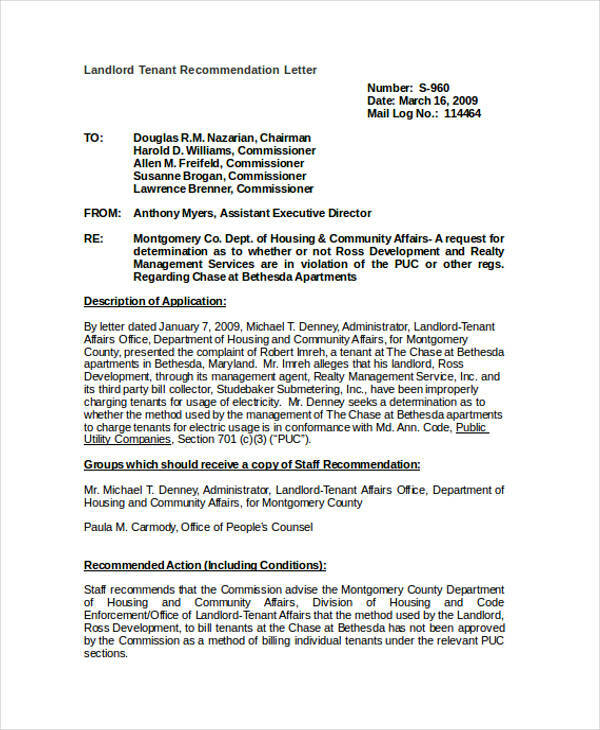 Your previous immediate heads. 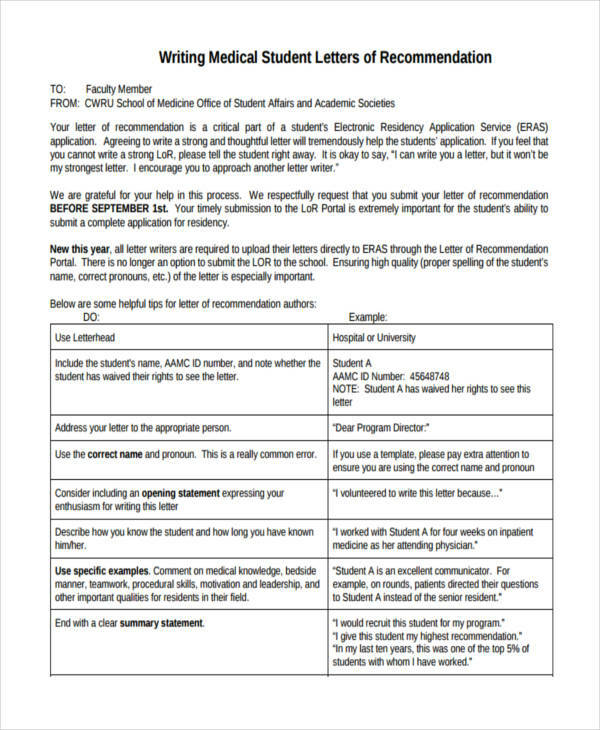 You have been assessed and evaluated by your immediate heads. 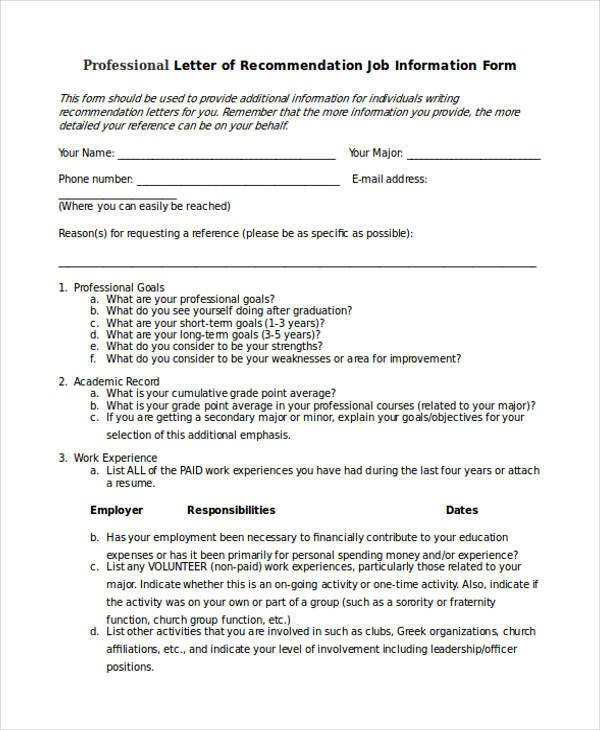 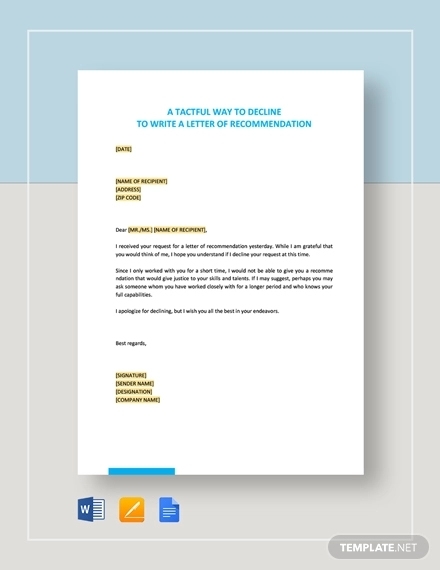 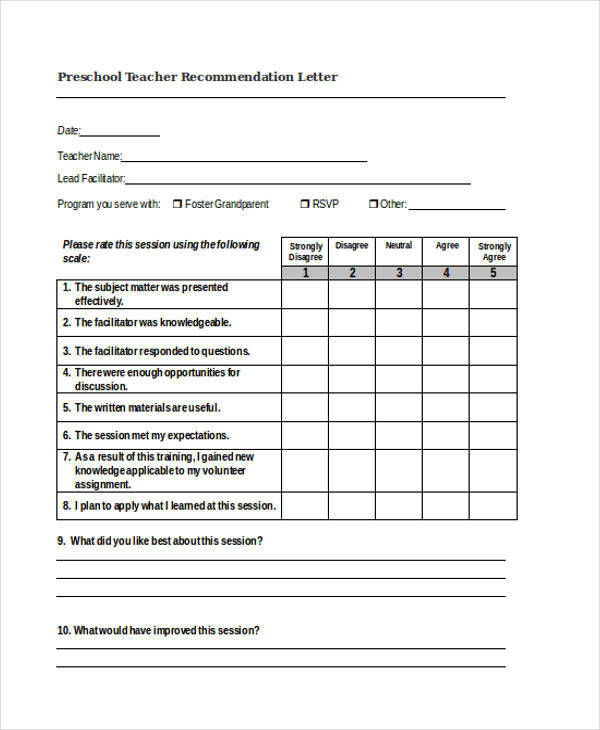 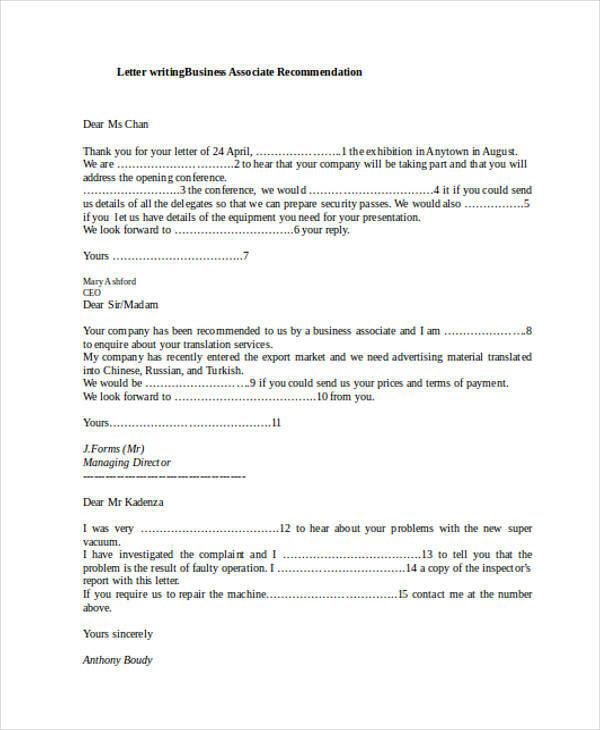 Your supervisor and manager can have an easier time in writing a recommendation letter for you as they have already done it for your regularization and/or promotion. 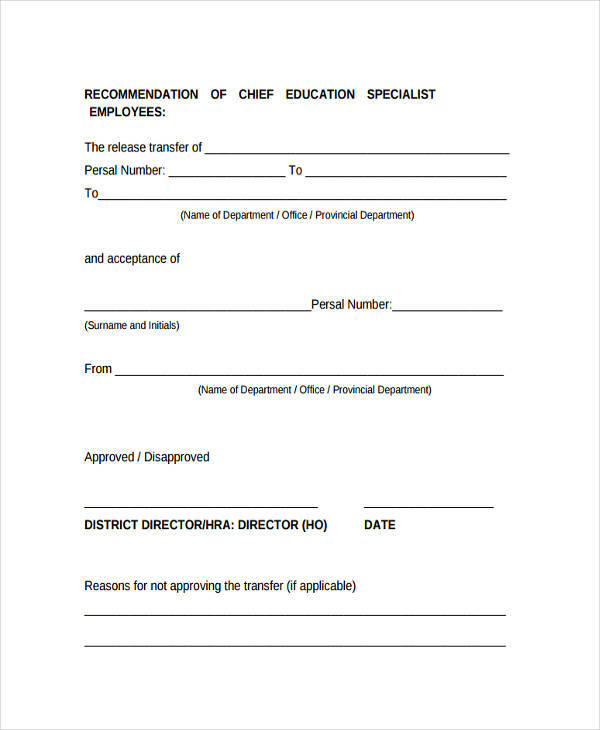 The human resource department employees and other administrative employees within your department. 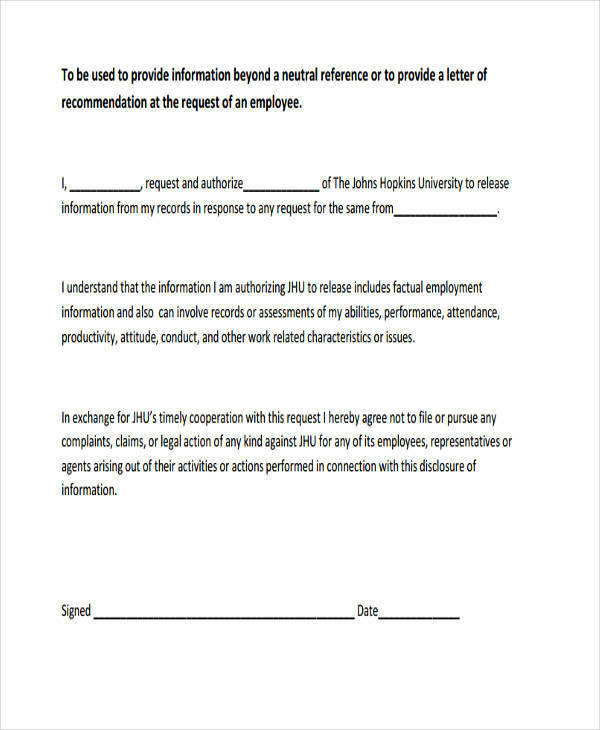 Your attendance, performance report, work ethics and professional value statements are very well known by the HR department as they have the record of these items. 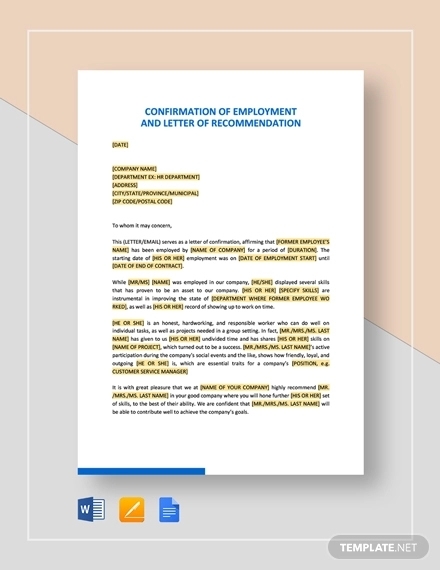 If you want to give a highlight on your track record as an effective and efficient employee presented in an organized report structure, you can ask people from the human resource or any administrative division of the companies where you previously rendered your services. 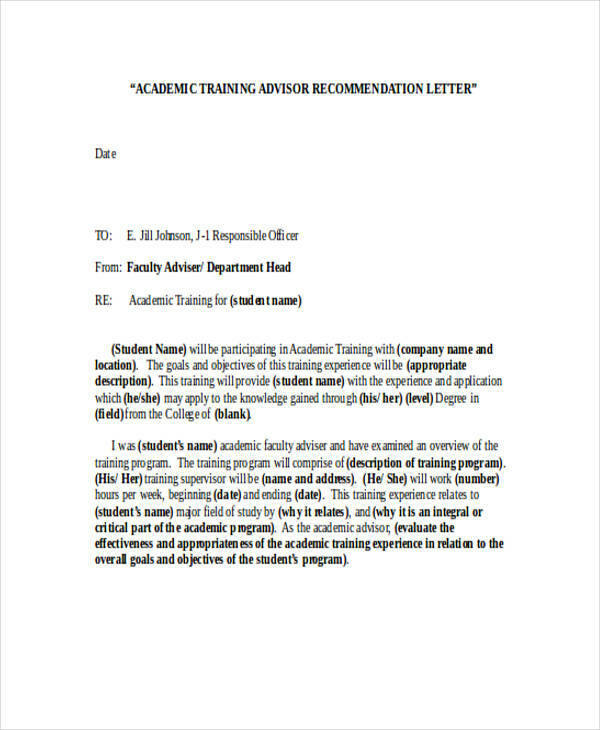 The training coach of your team. 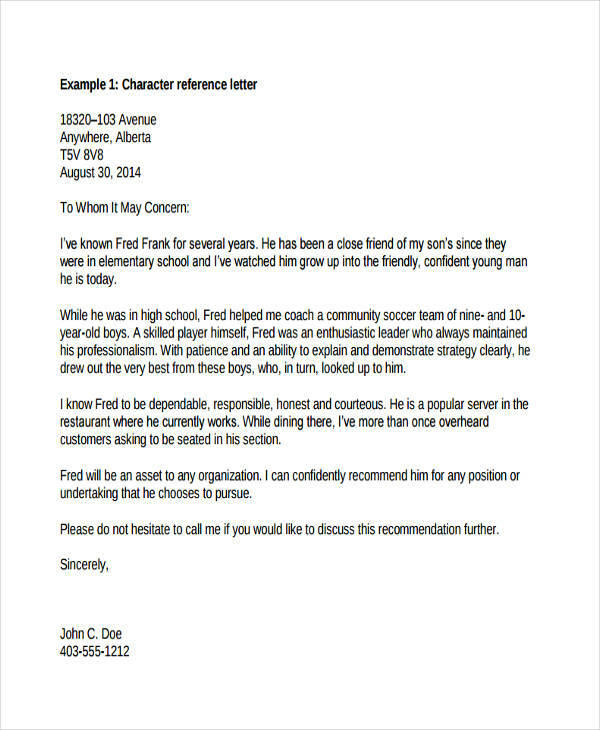 If there are any training coach that you have worked with, you can also ask this person to write a recommendation letter for you. 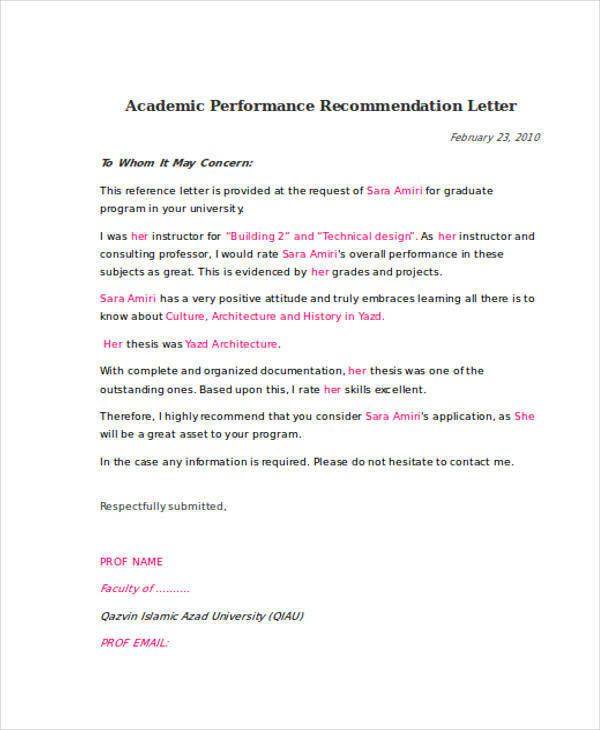 This person is well aware of your core competencies and development which is why they will be a great choice as a reference. 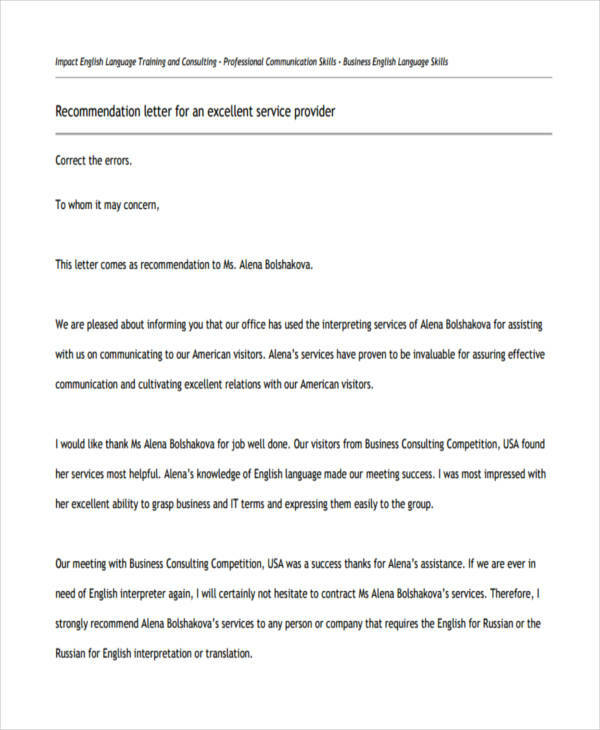 The counselor of the company where you previously worked. 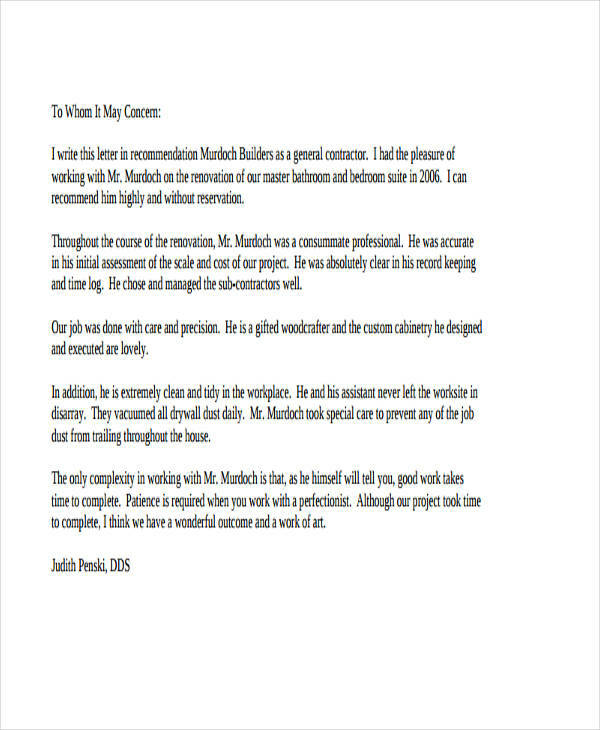 Company counselors deal with your personal and professional issues which may affect your performance report of work. 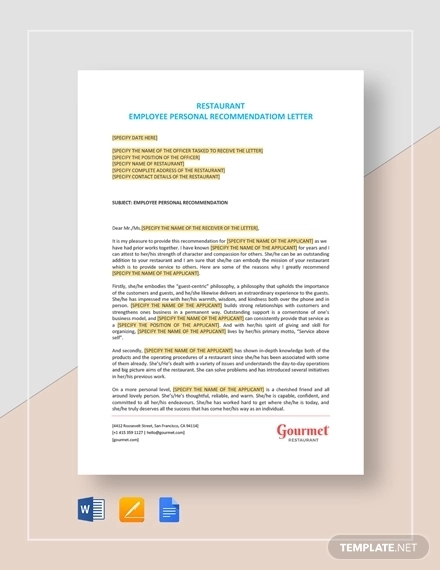 Through their guide, you can cope up even more with the expectations and requirements of the job that you are currently handling. 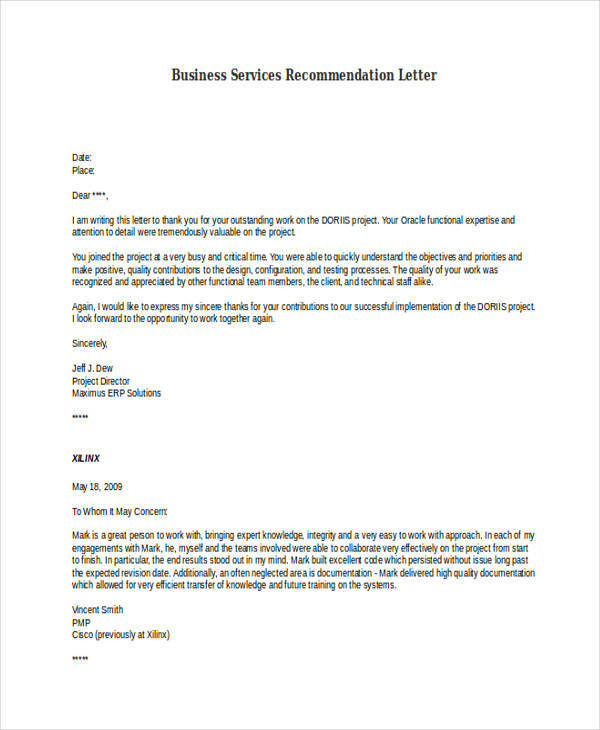 Making them your reference will allow the company to assess how you have been keeping and coping up with the work phases of your previous companies. 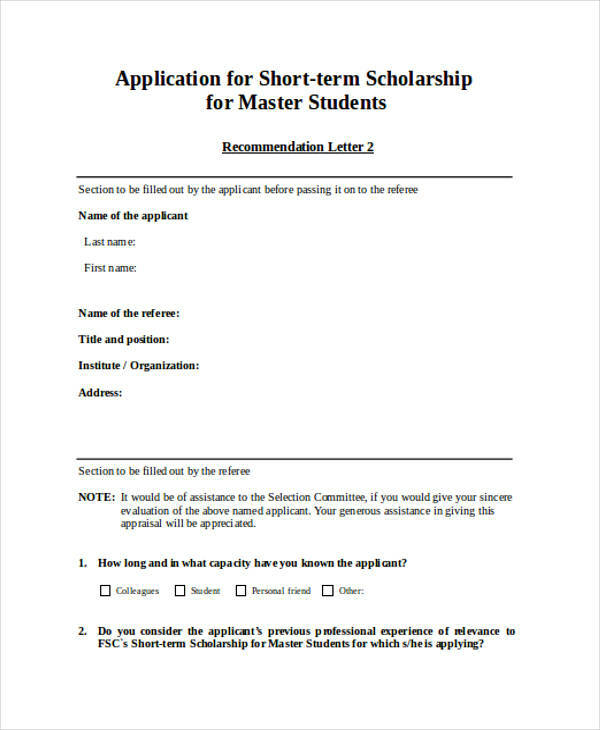 The time duration that the reference has been related to the applicant. 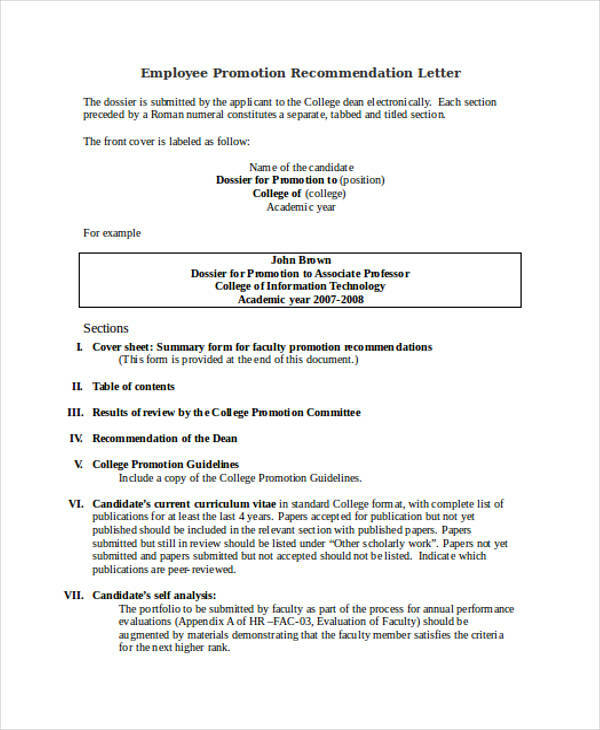 The qualifications of the reference. 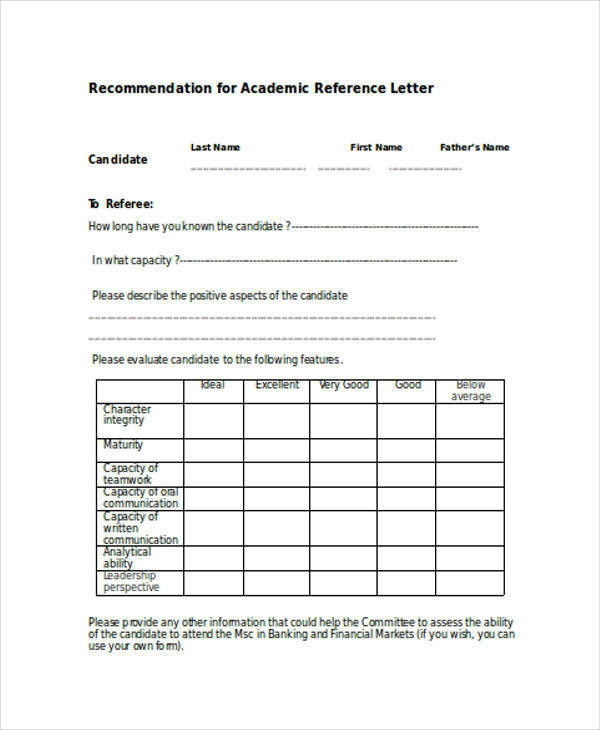 The relevance of the competencies of the reference to the industry where the candidate is applying for a job. 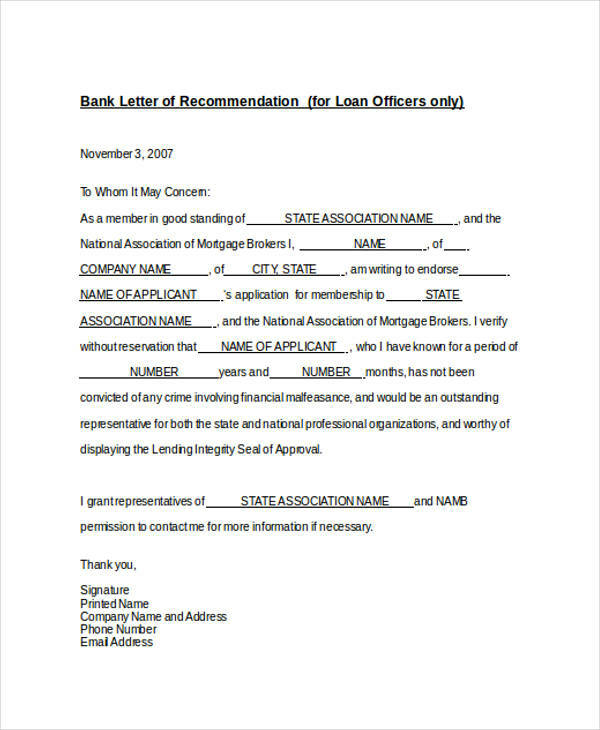 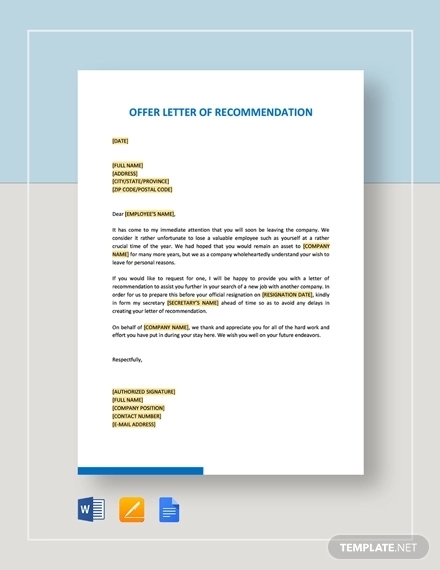 Unlike a offer letter, which states how a qualified candidate can benefit should he/she accept the offer of a business, a recommendation letter is created to showcase how an entity can benefit from the applicant. 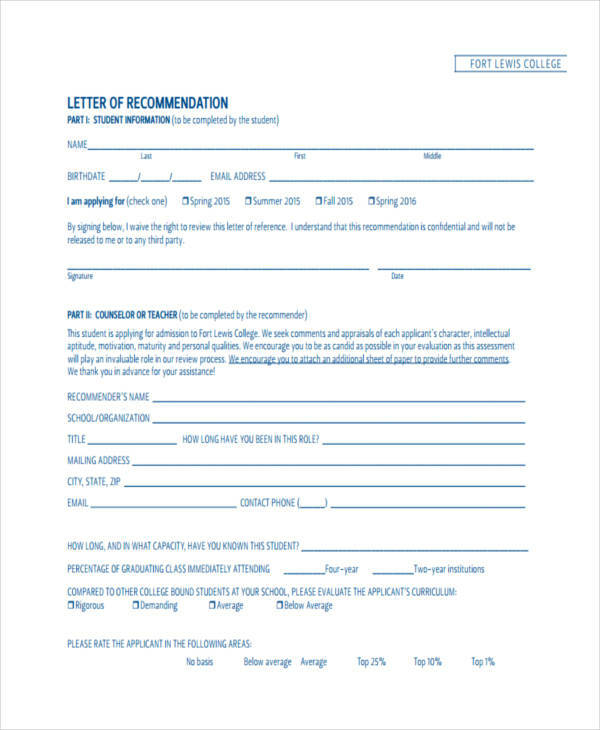 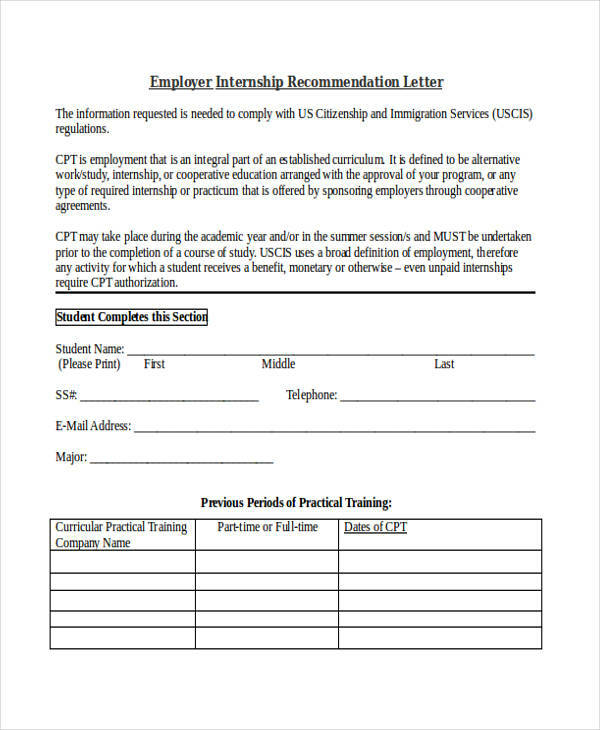 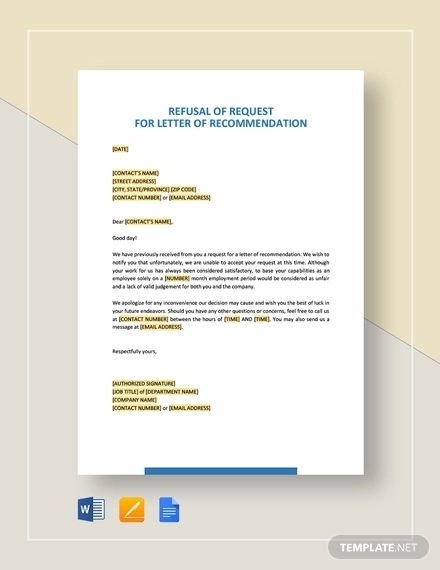 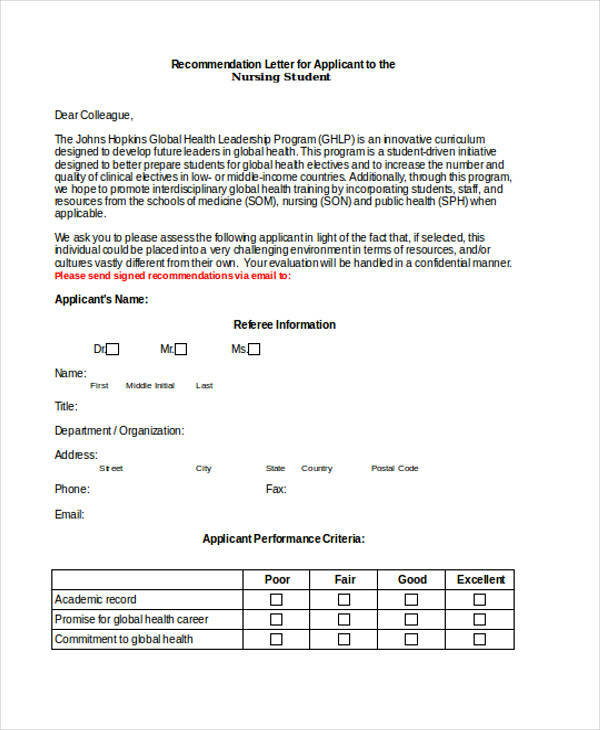 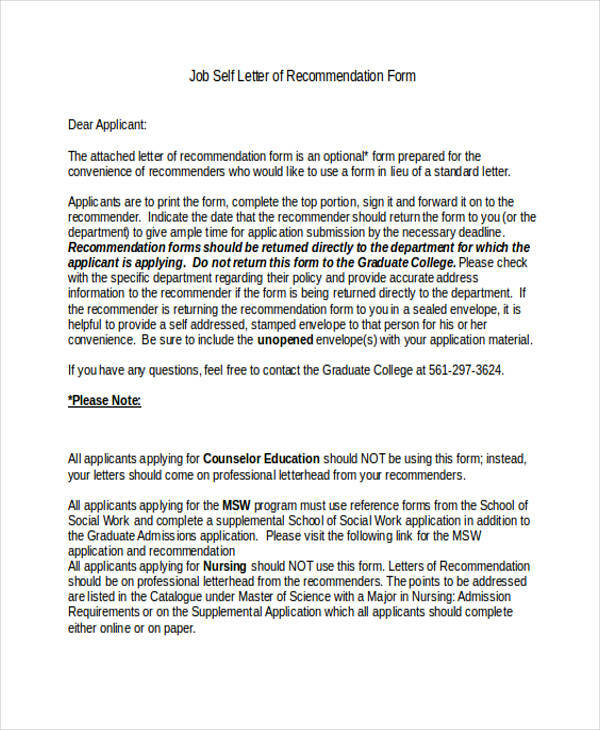 Aside from its association in the job application of an individual, there are still other usages that a recommendation letter is deemed necessary. 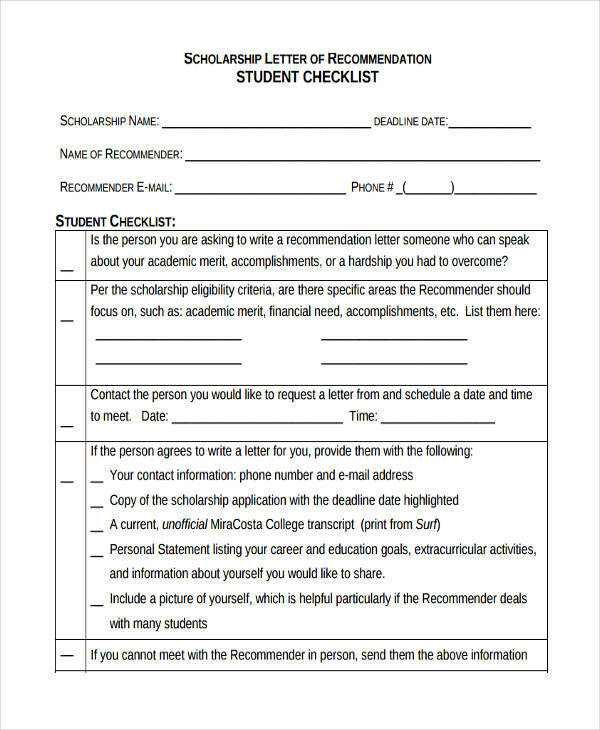 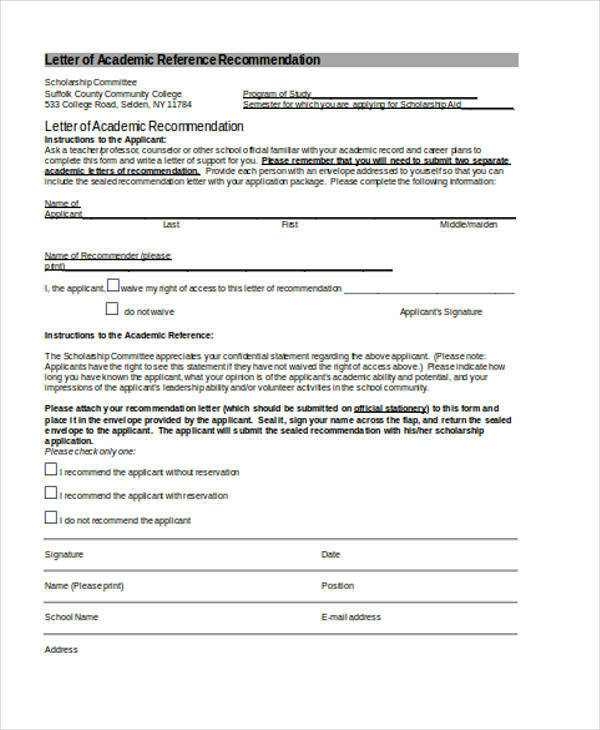 A college admission recommendation letter is for an applicant who would like to have a slot in a particular academic program. 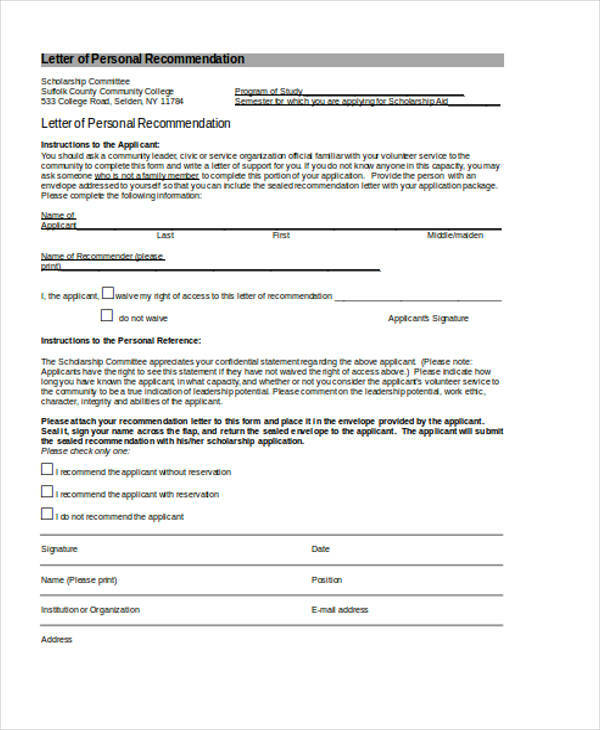 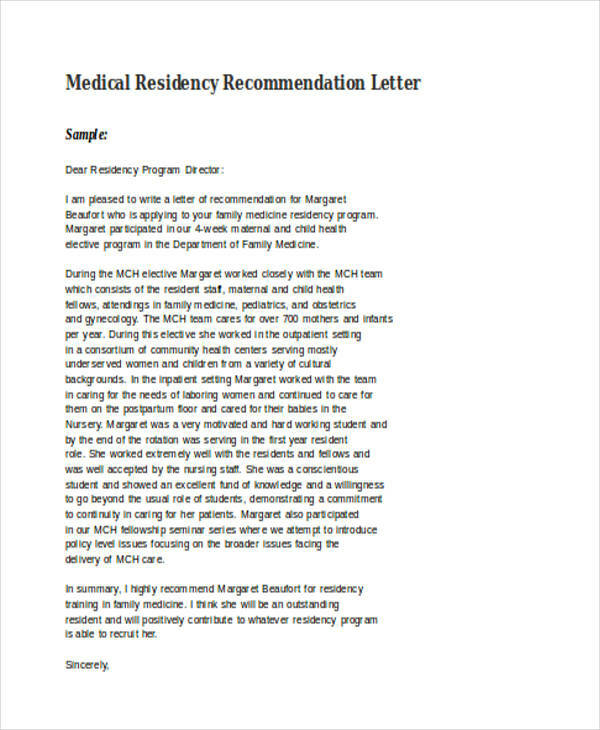 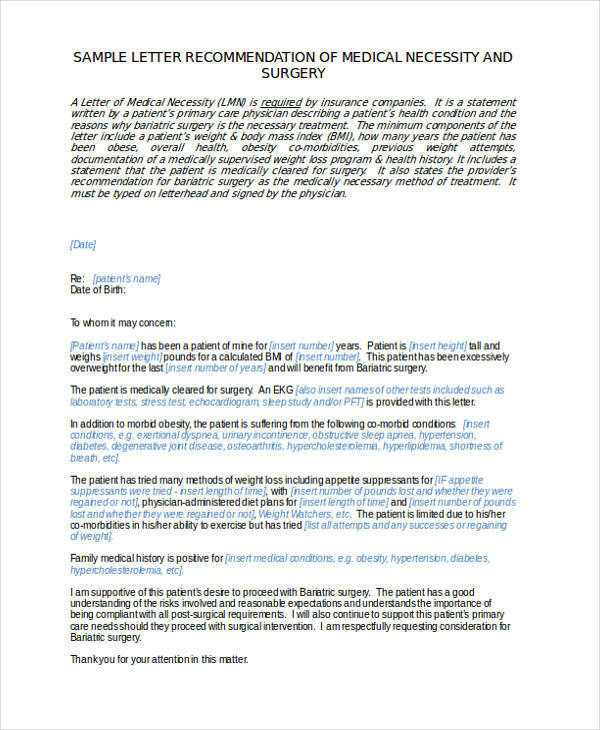 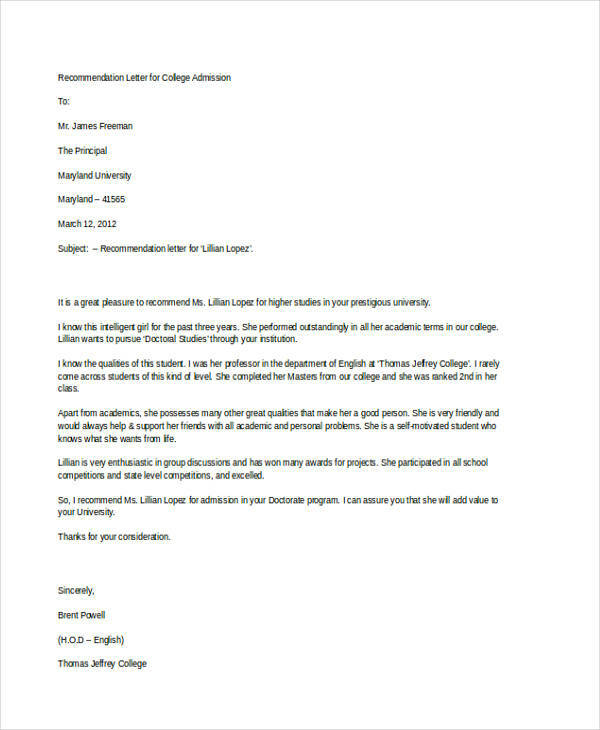 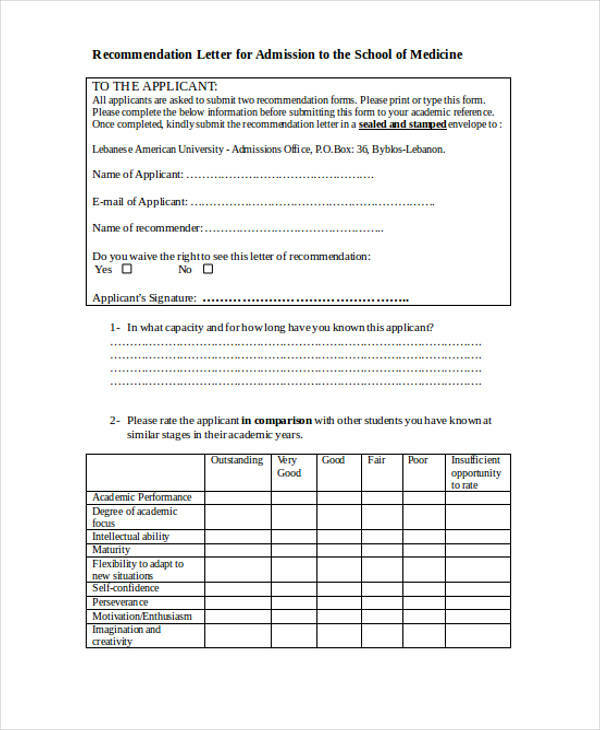 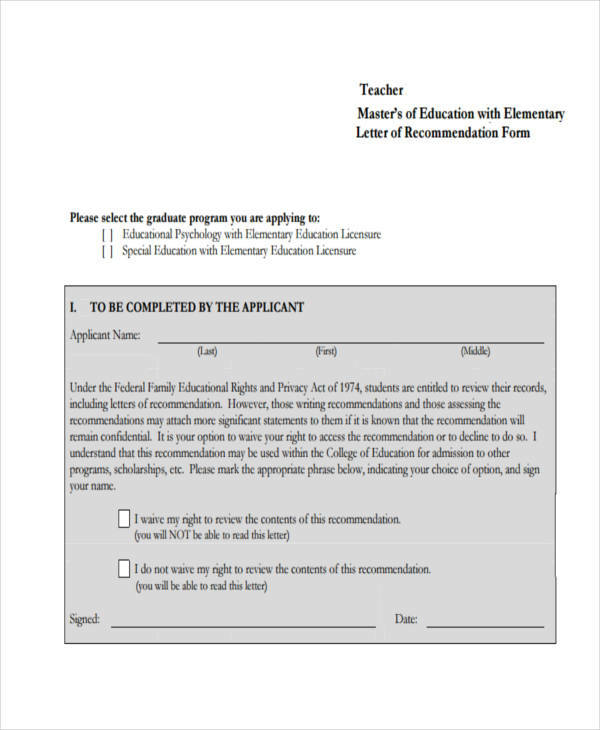 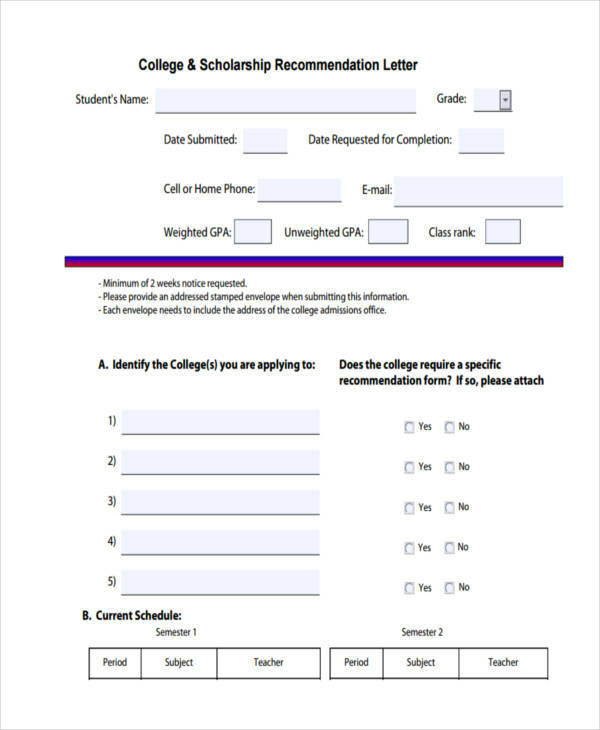 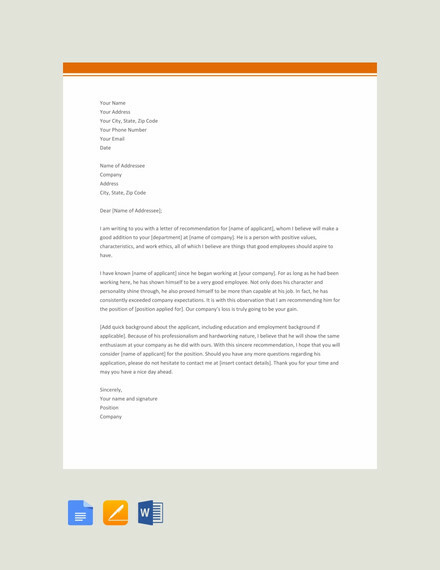 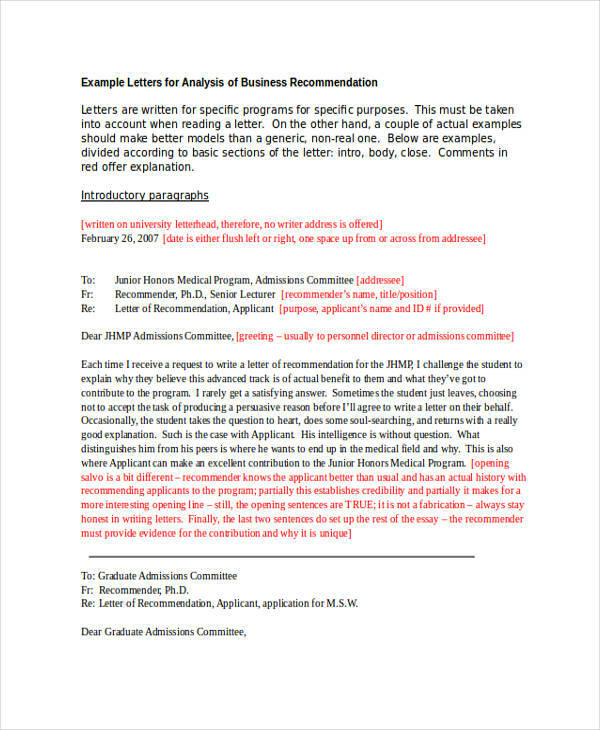 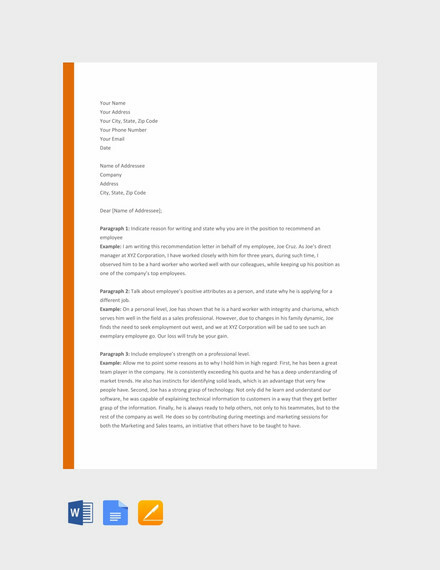 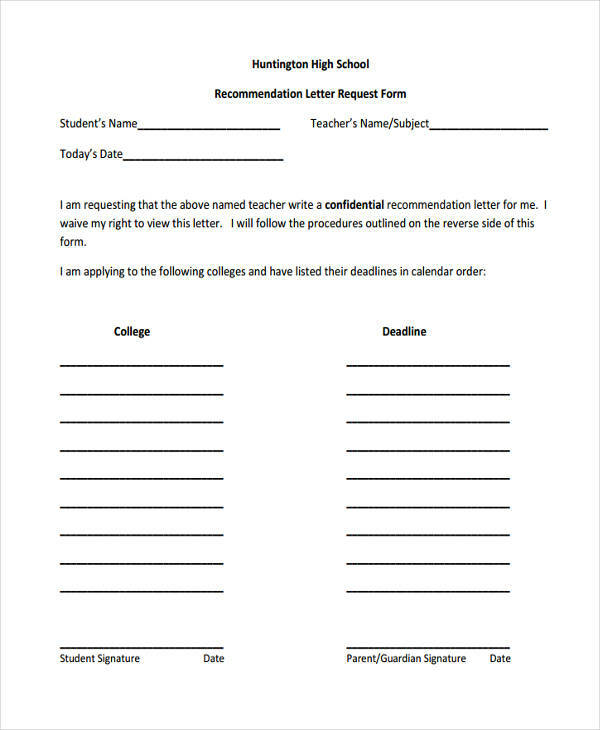 College admission recommendation letters are used to outline in word an applicant’s competencies that may add value to the academic institution and its operations. 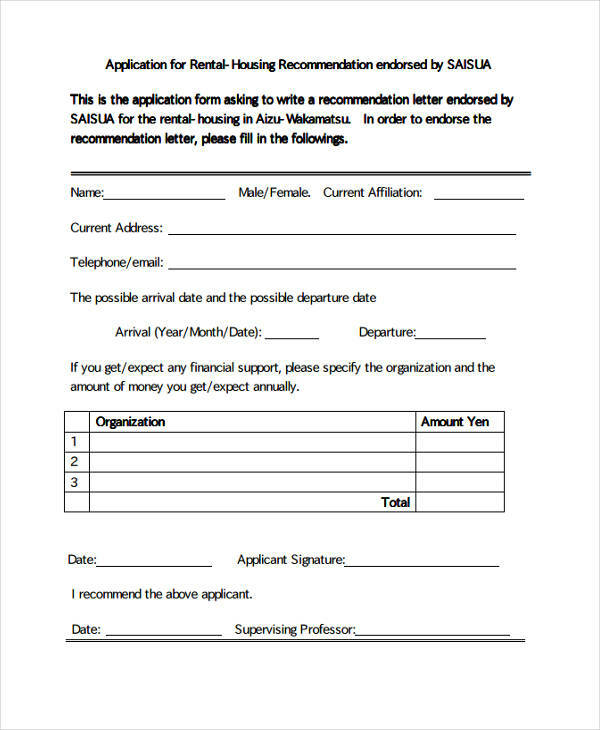 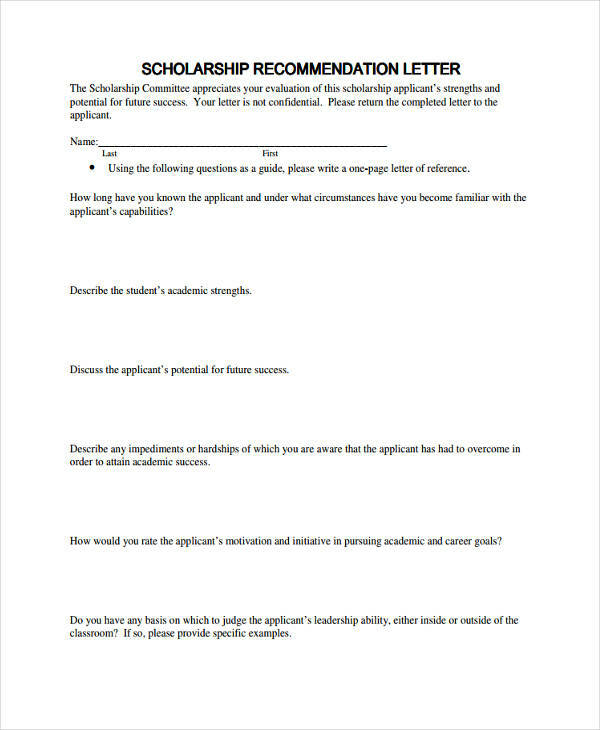 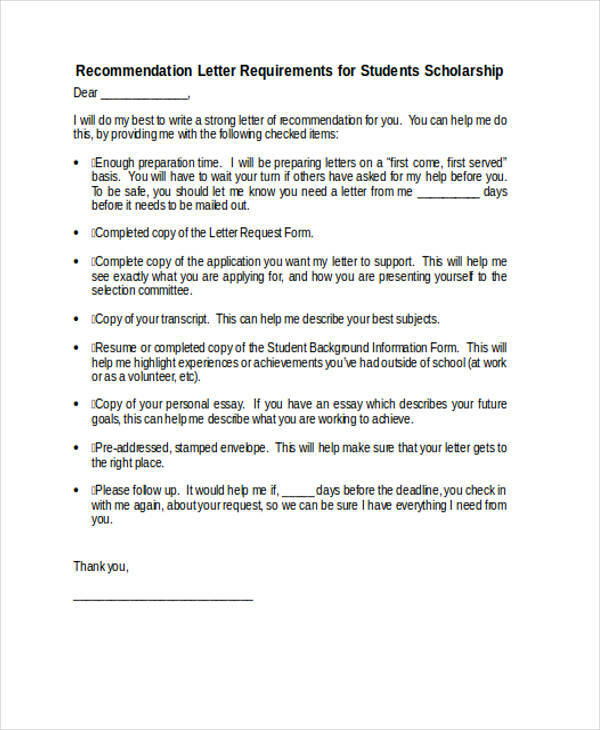 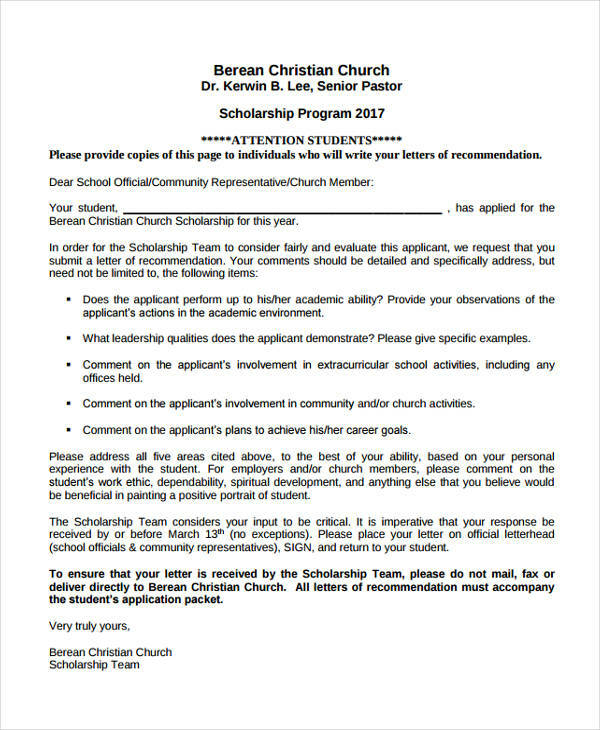 A scholarship recommendation letter is written by a reference to support an applicant who would like to receive a scholarship grant. 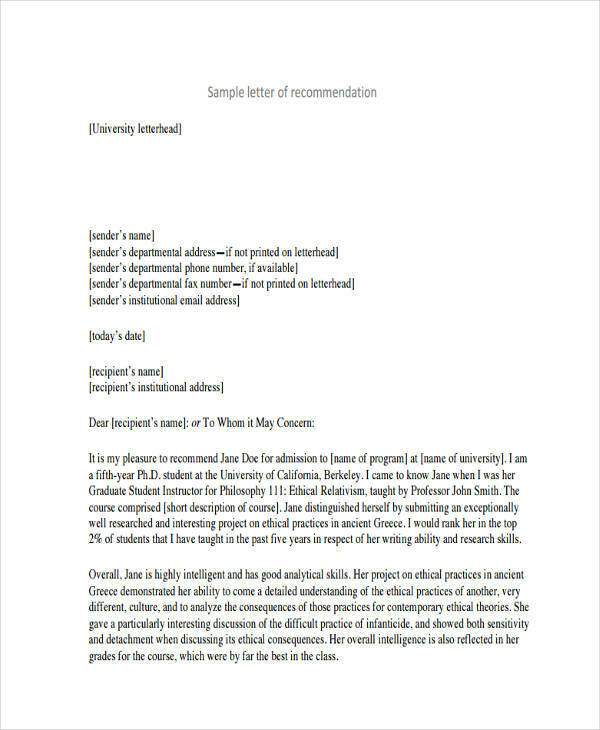 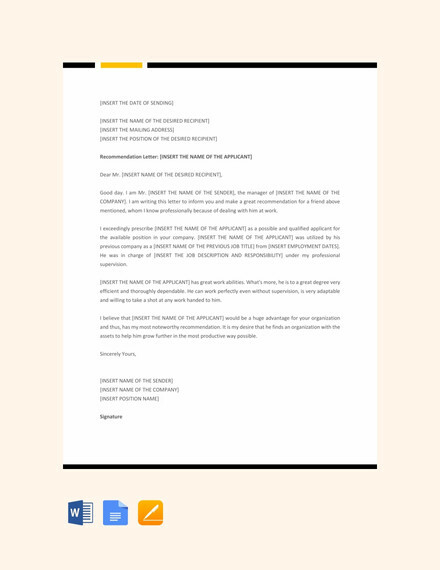 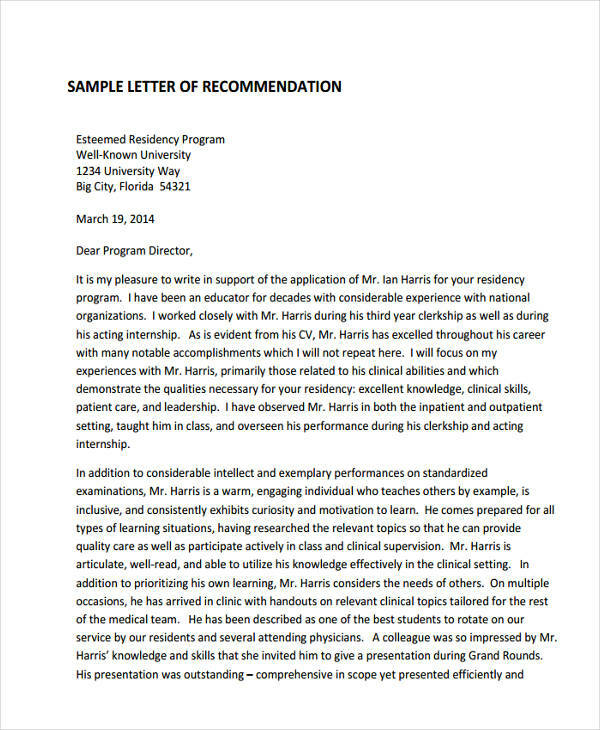 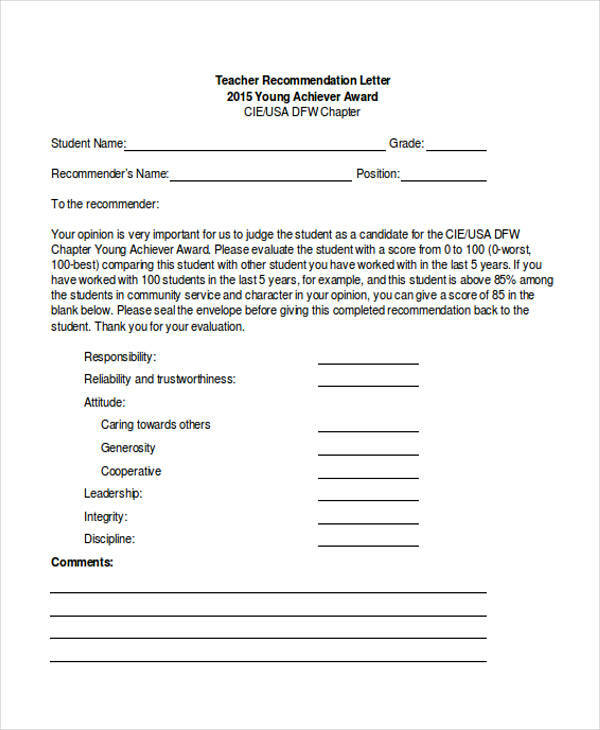 This kind of recommendation letter is essential as the entity who will provide the scholarship should have a clear idea on why a candidate is deserving for the scholarship. 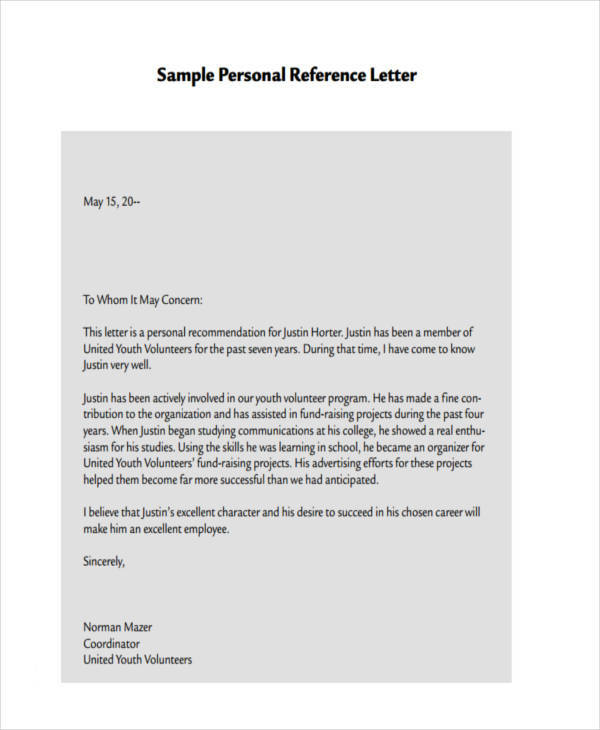 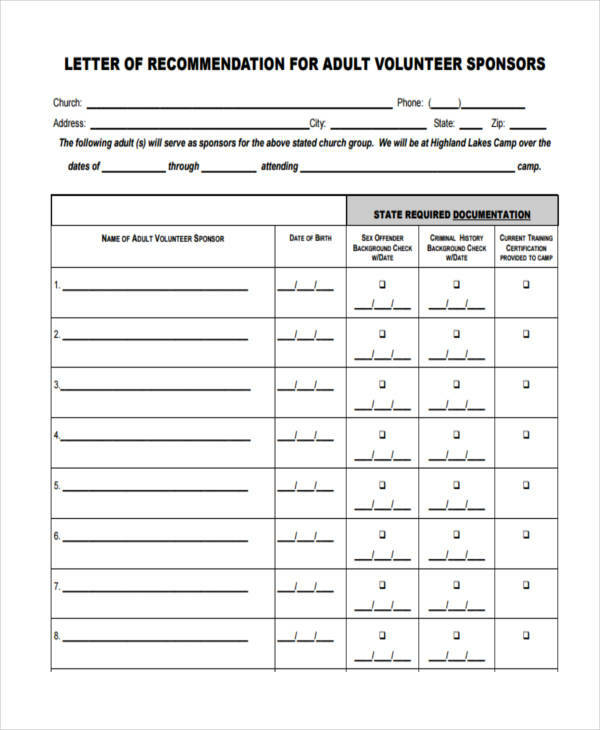 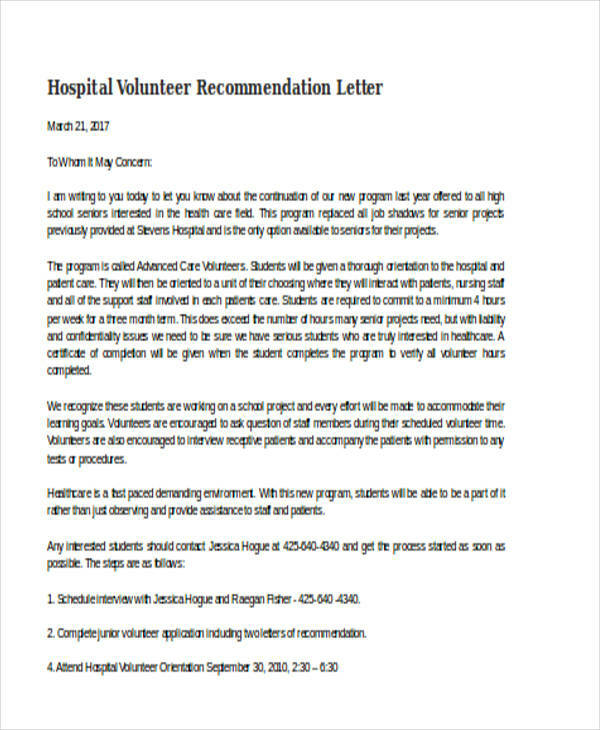 A volunteer recommendation letter is most likely created to assure a non-profit organization that an individual is capable of doing volunteer works and that he/she truly has the passion to help others especially those who are in need. 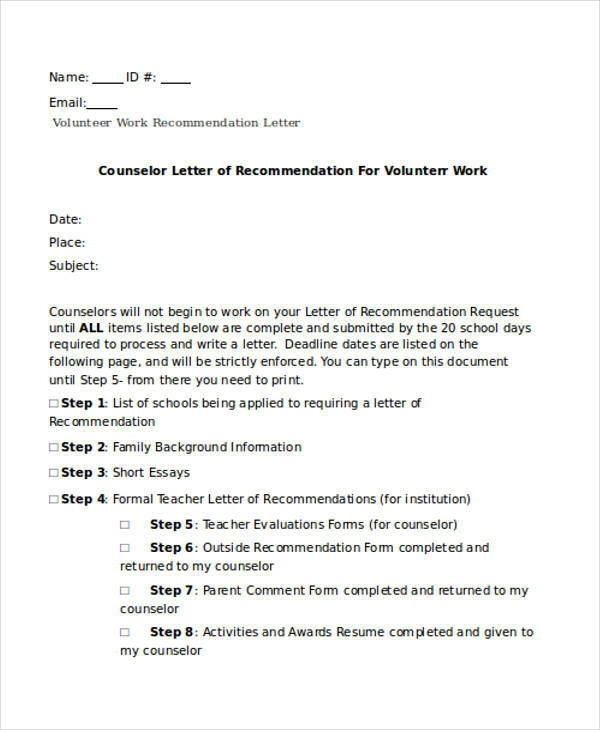 Whatever recommendation letter it is that you are making, you need to make sure that the items and discussions that you will provide can be beneficial to any kind of application that an individual who will use the letter is immersed into.